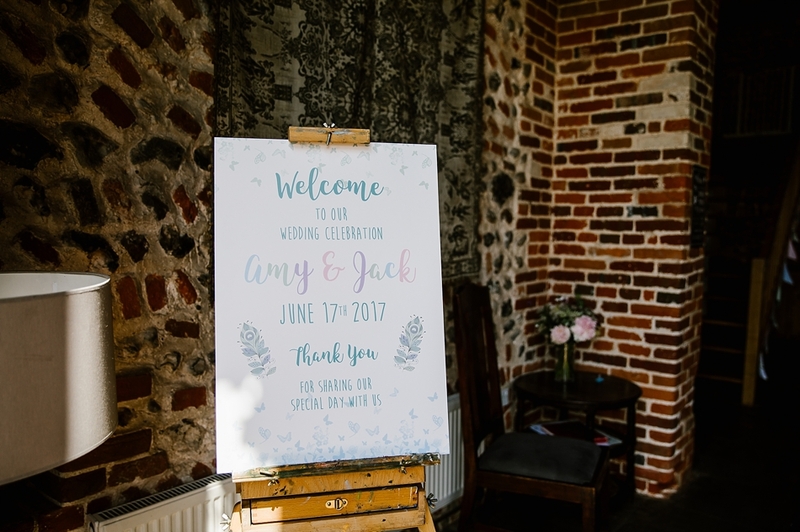 I have 2 overwhelming memories of Jack and Amy’s wedding… HOT and FUN! 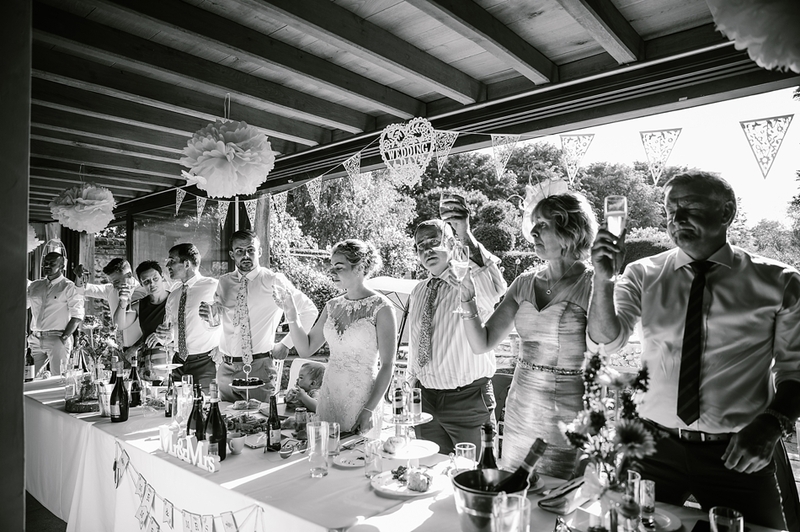 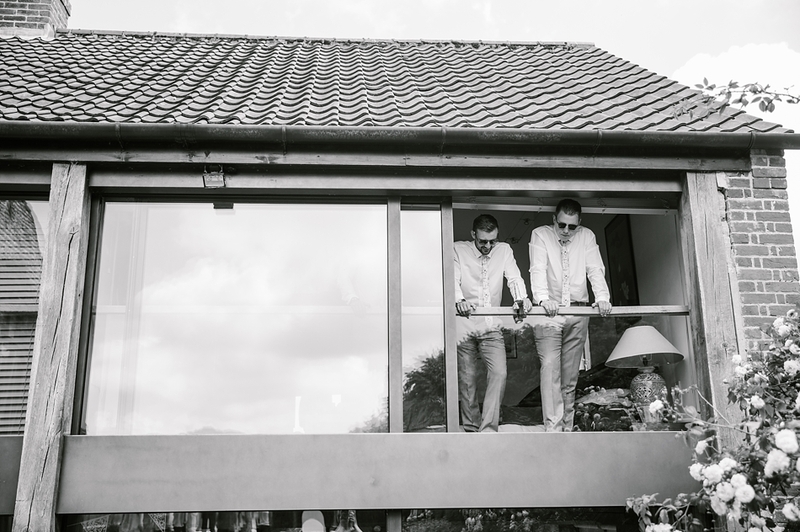 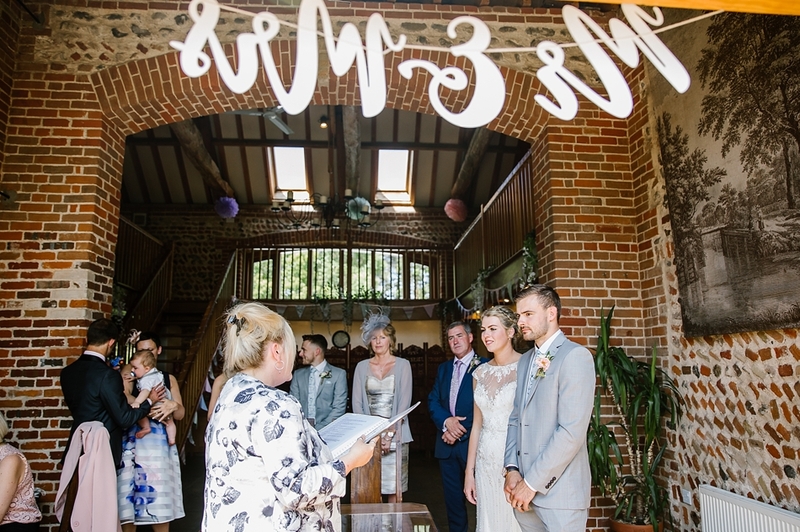 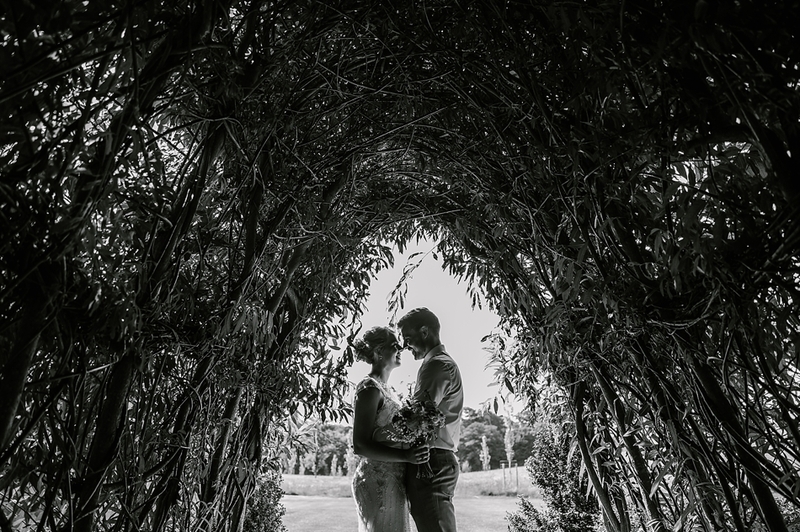 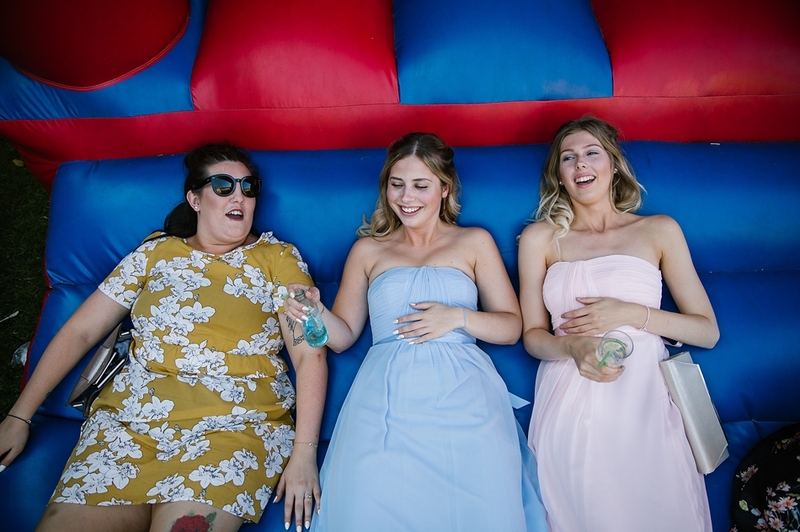 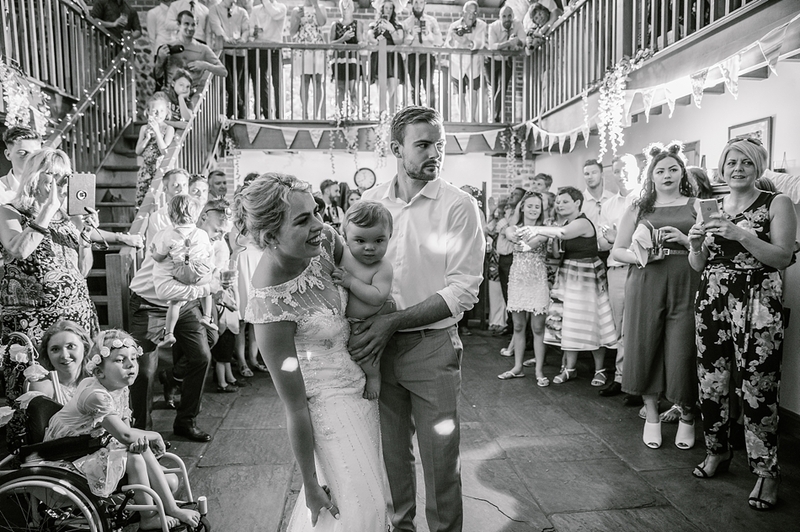 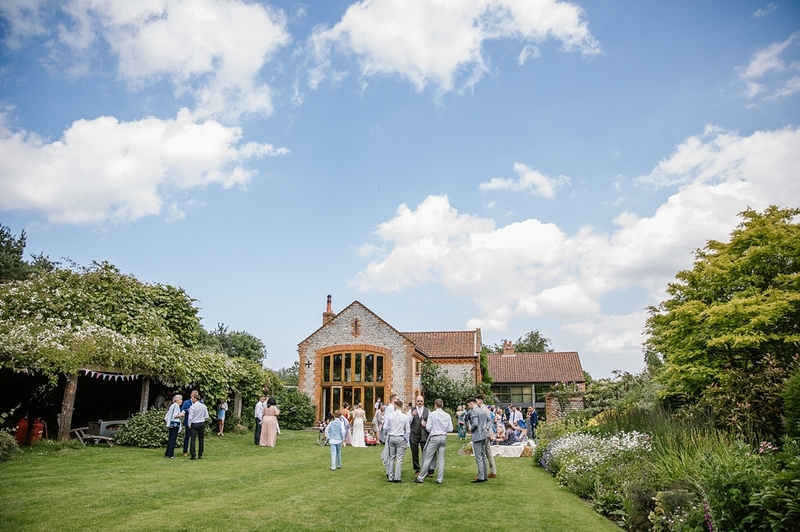 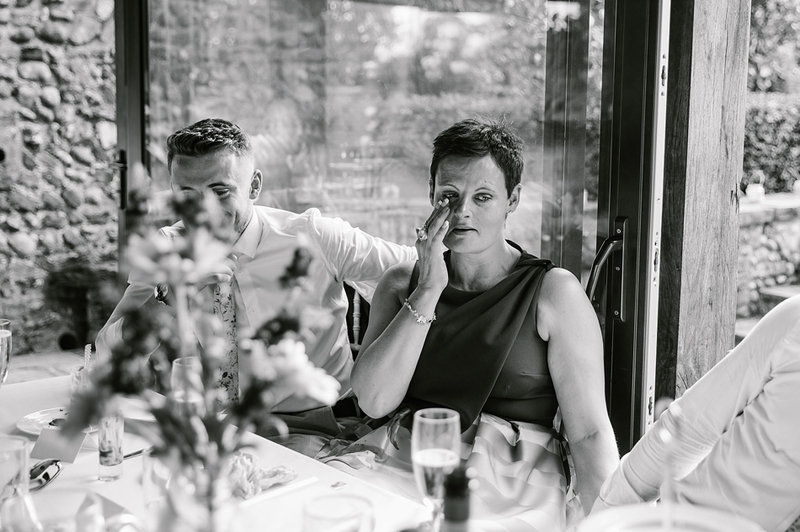 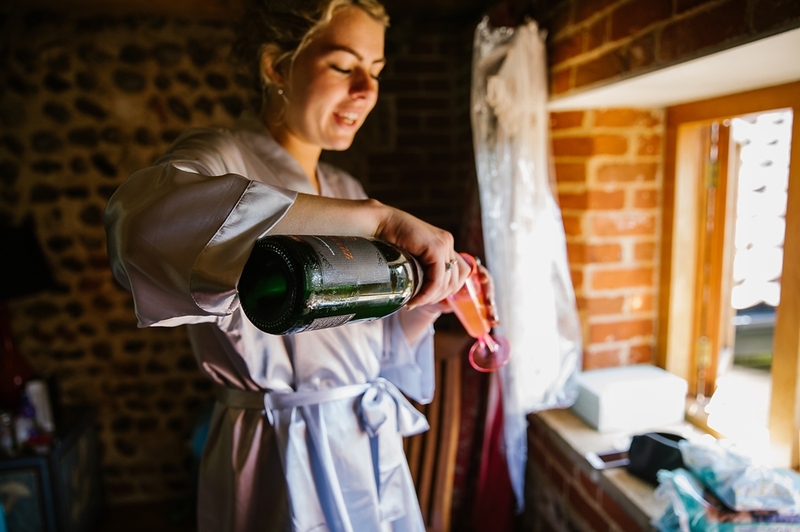 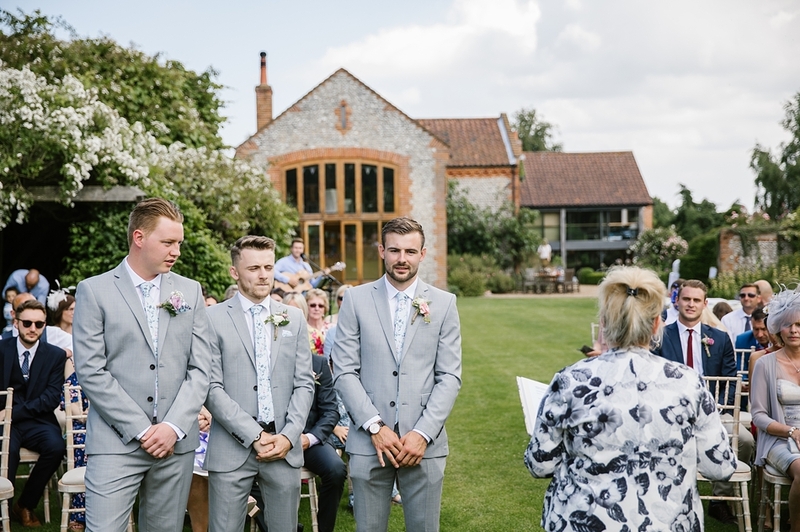 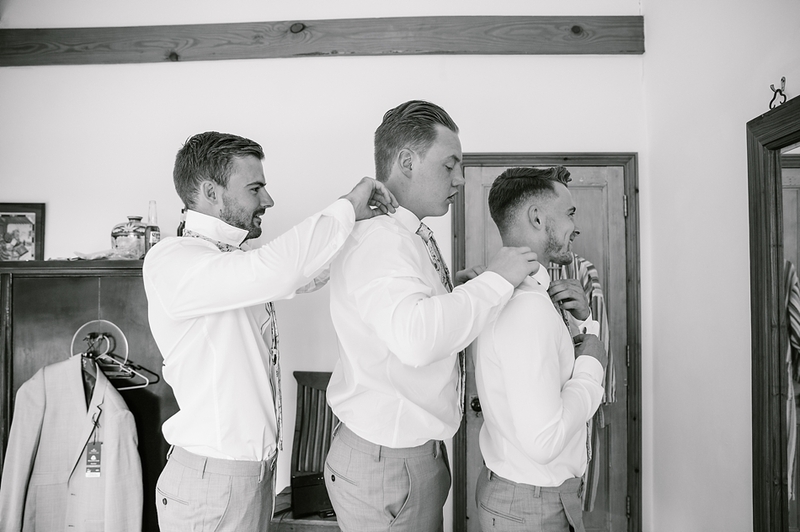 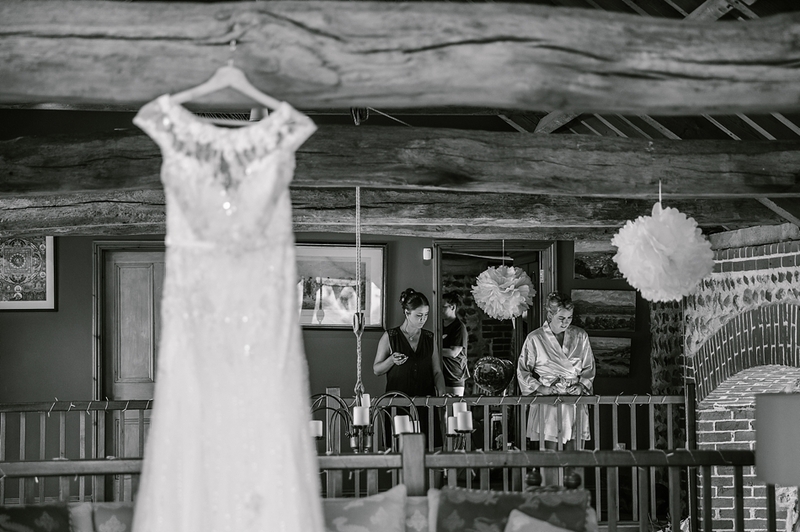 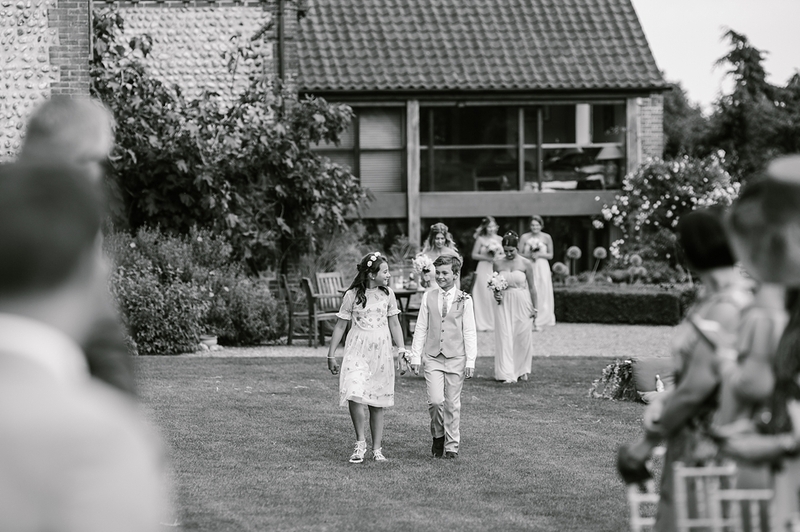 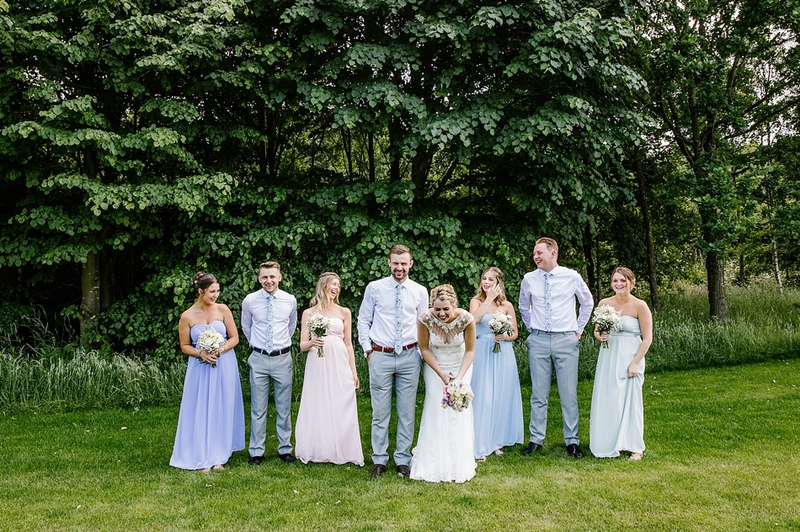 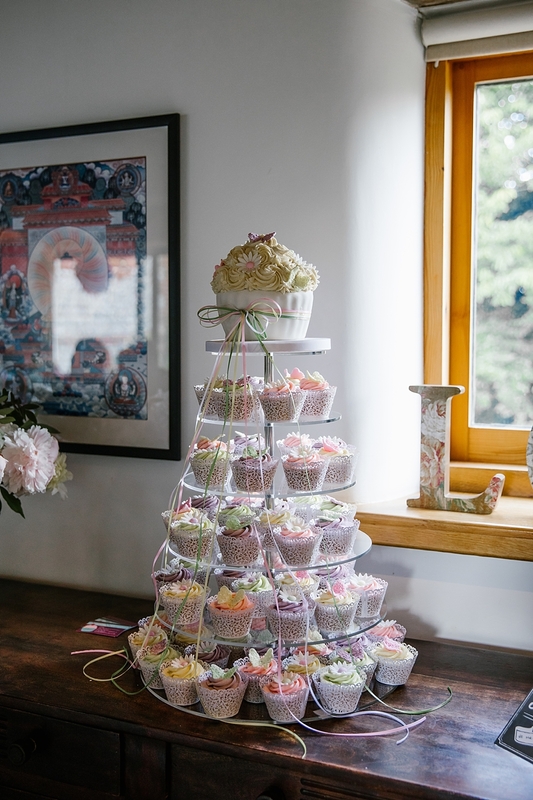 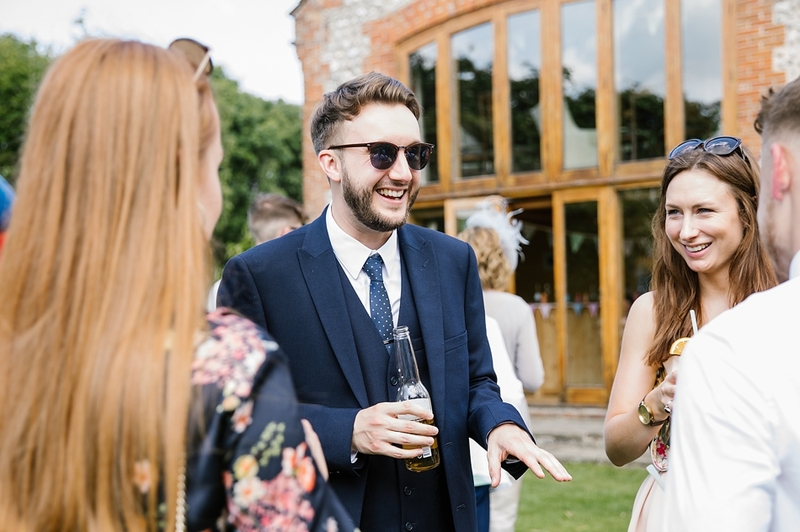 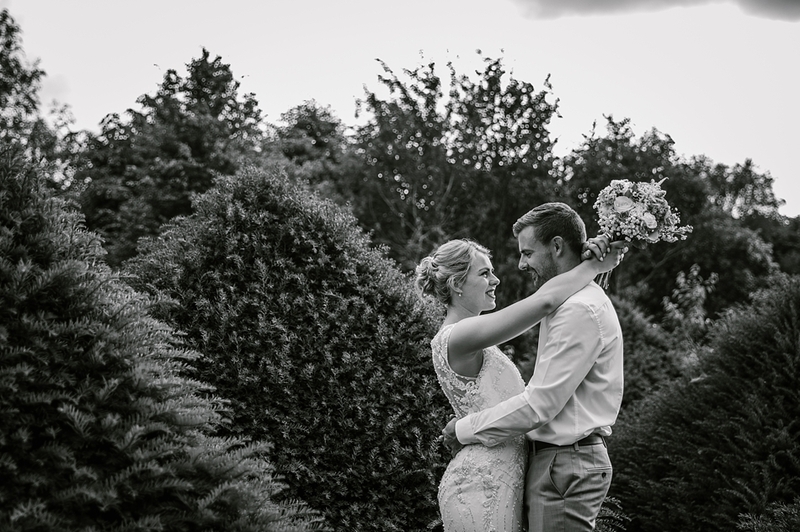 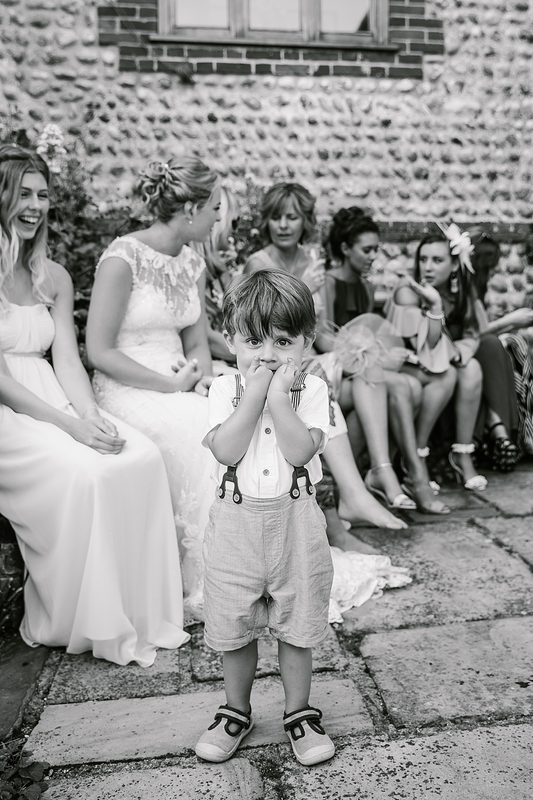 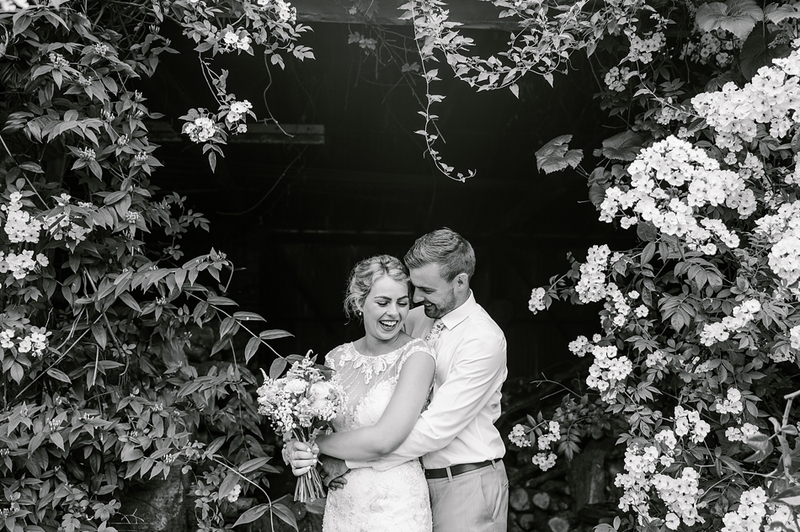 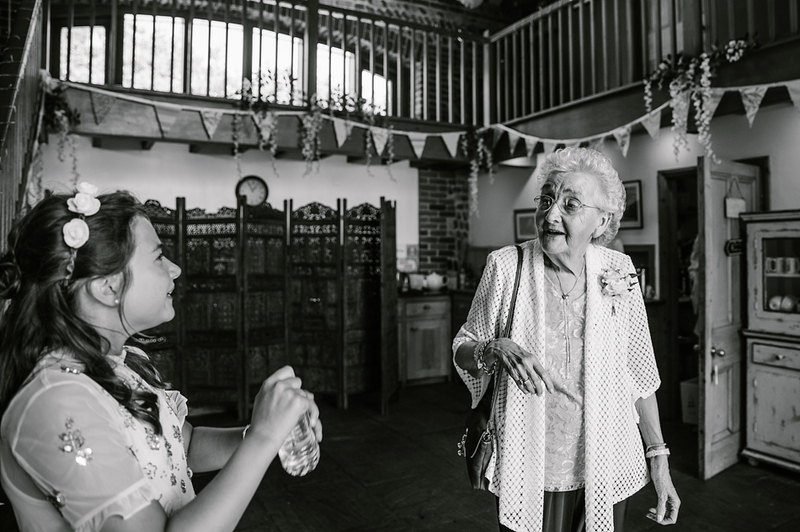 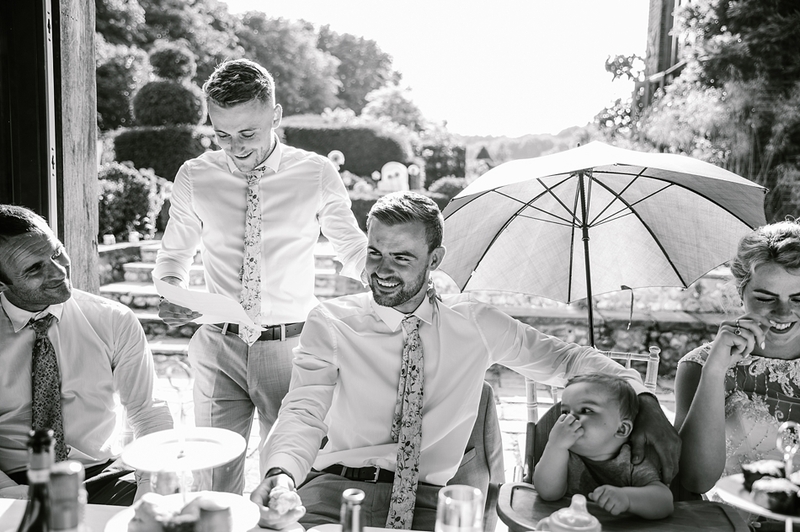 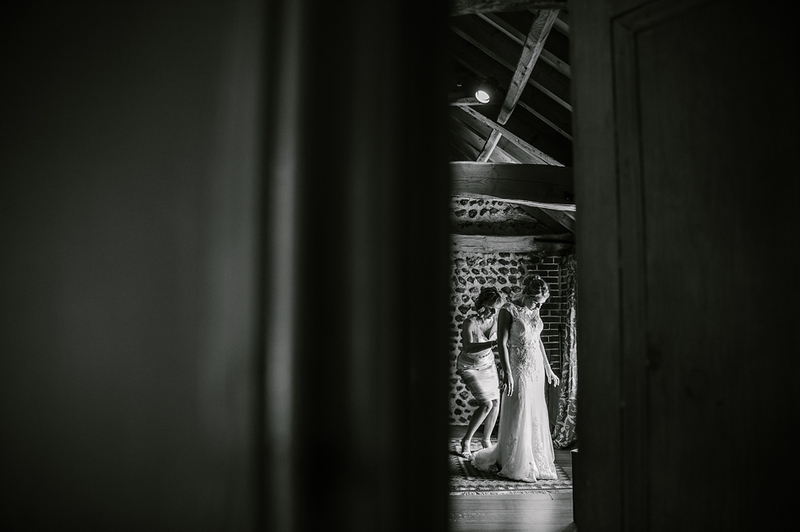 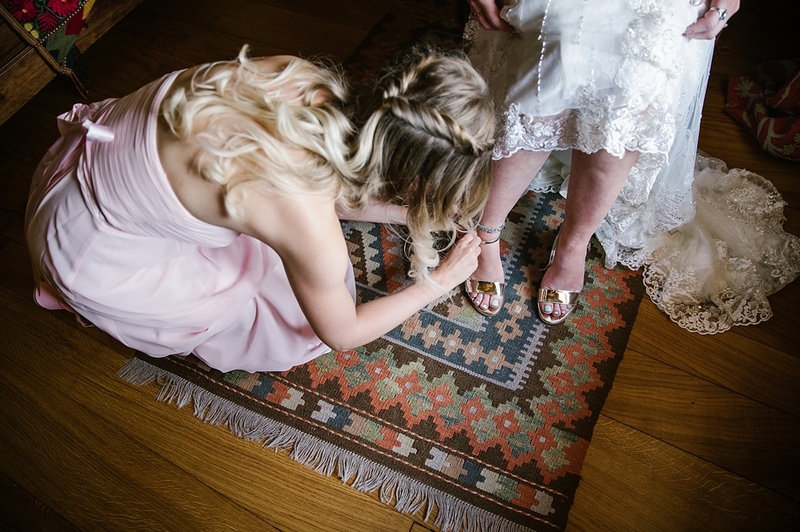 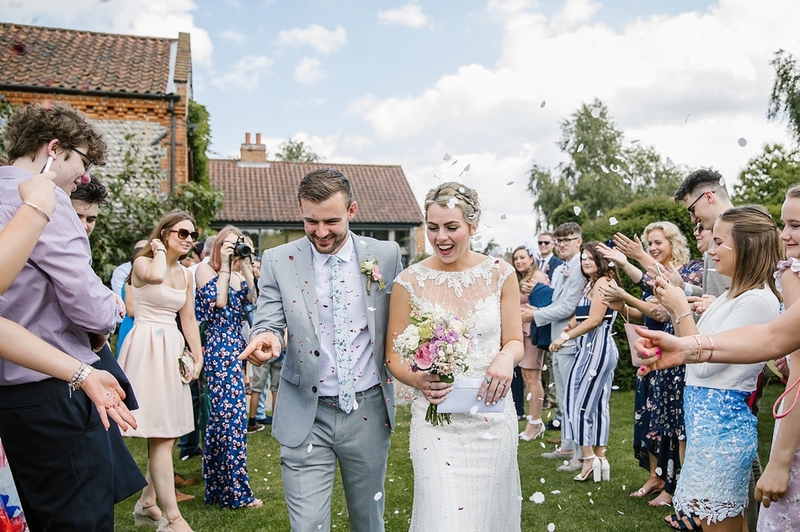 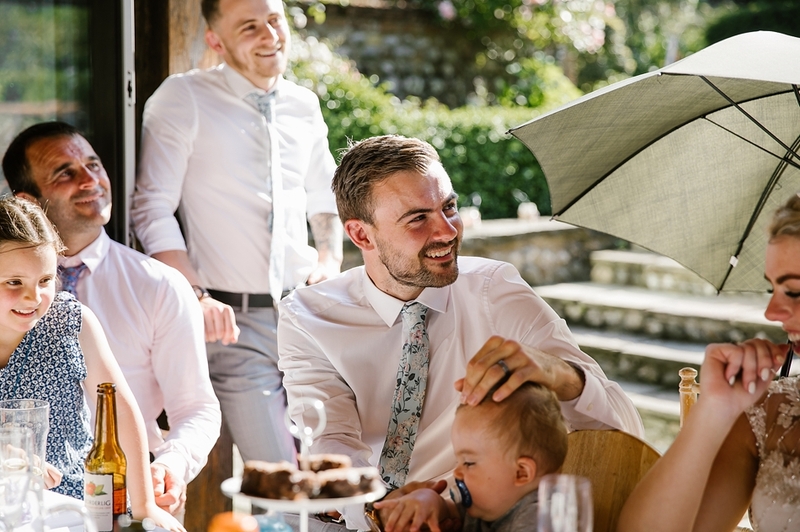 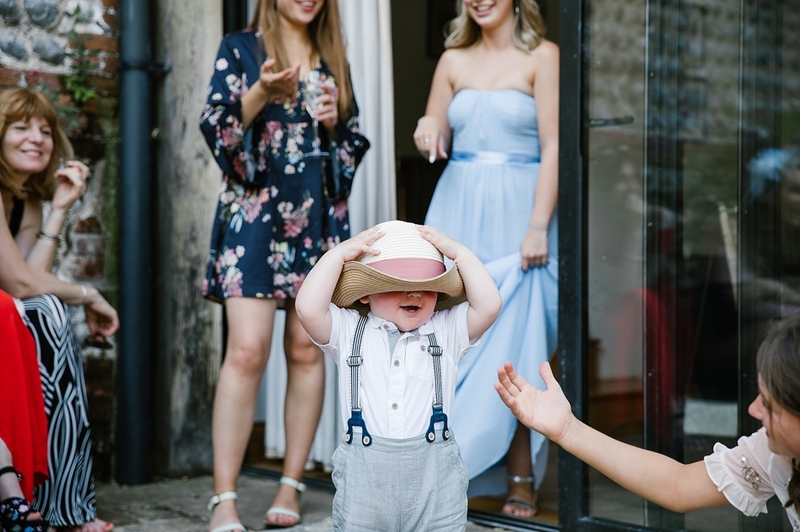 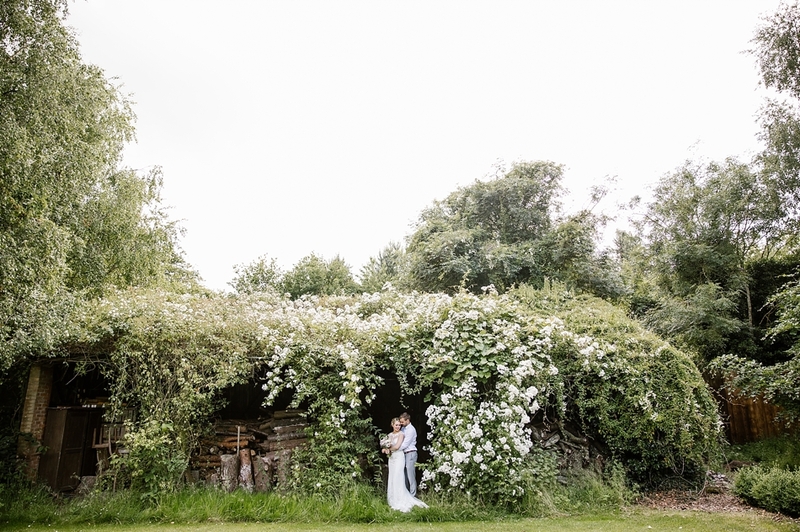 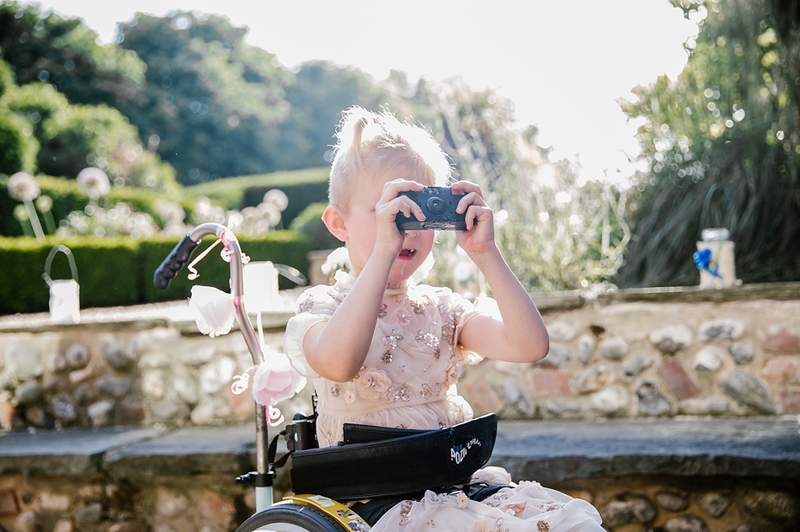 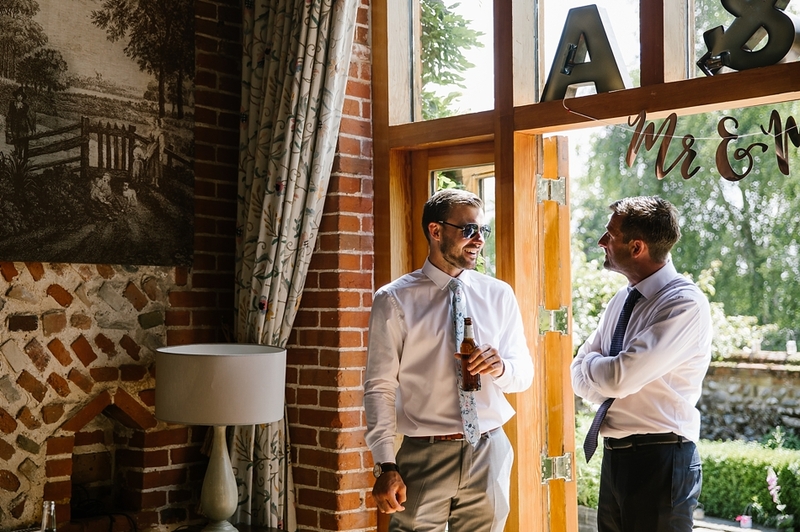 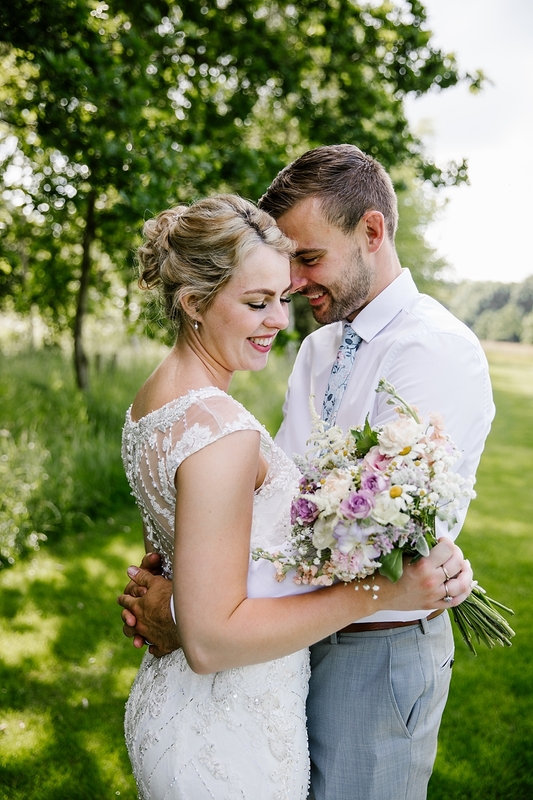 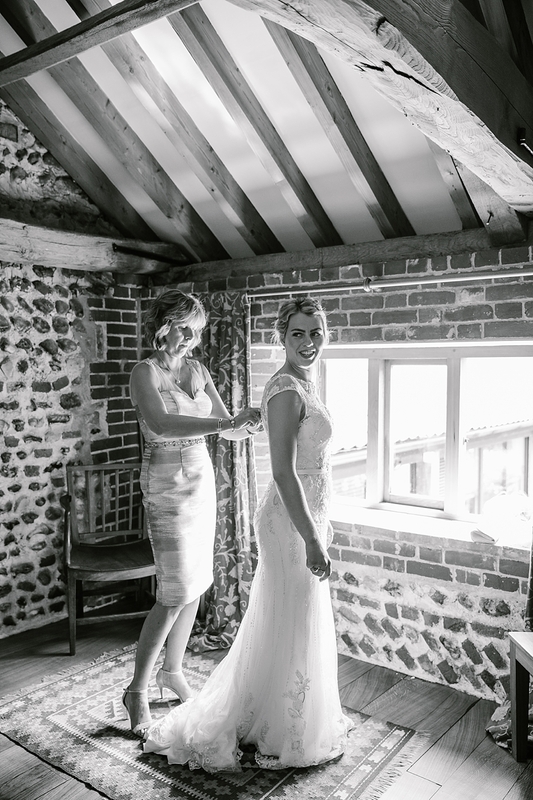 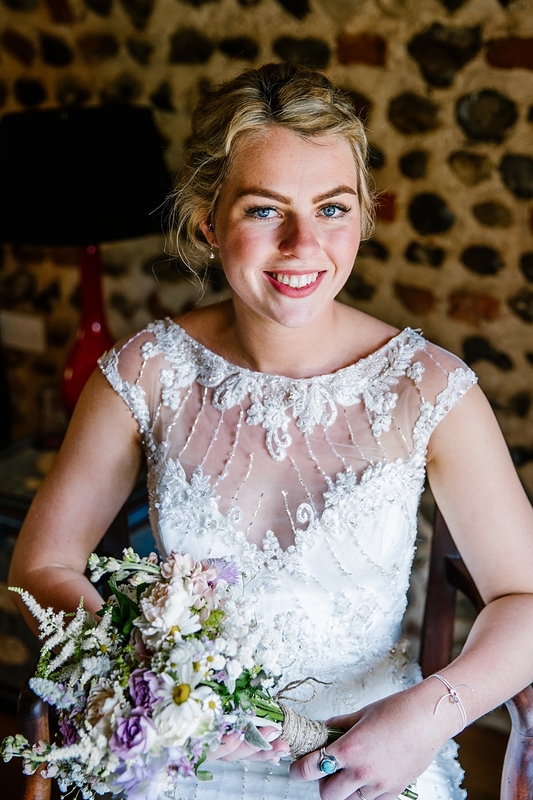 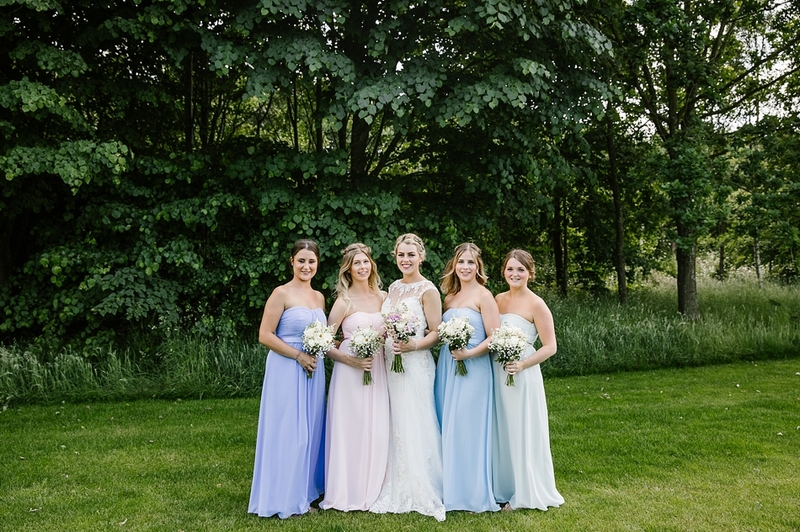 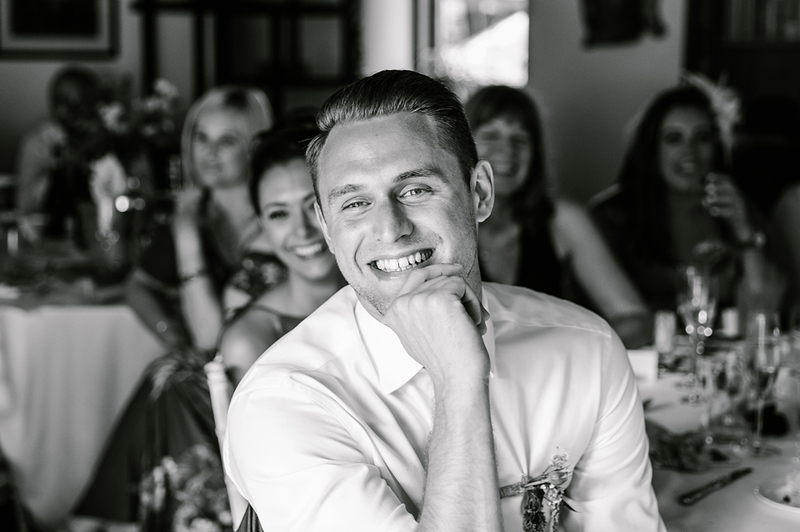 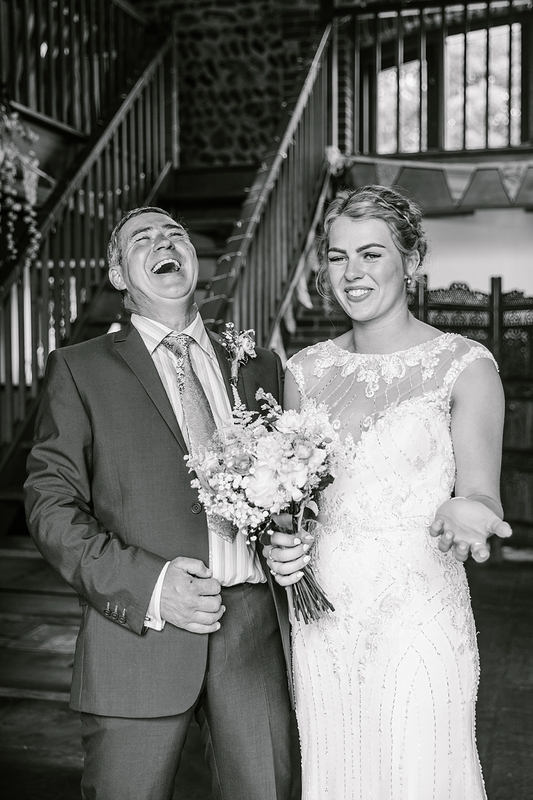 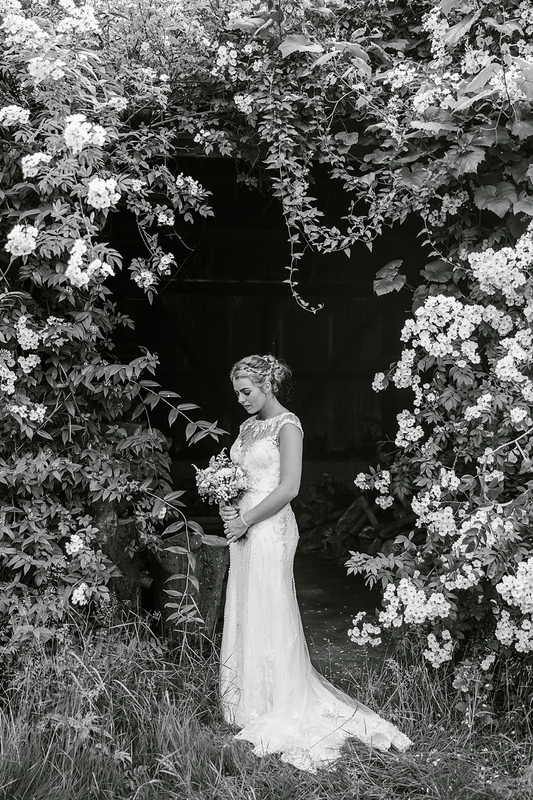 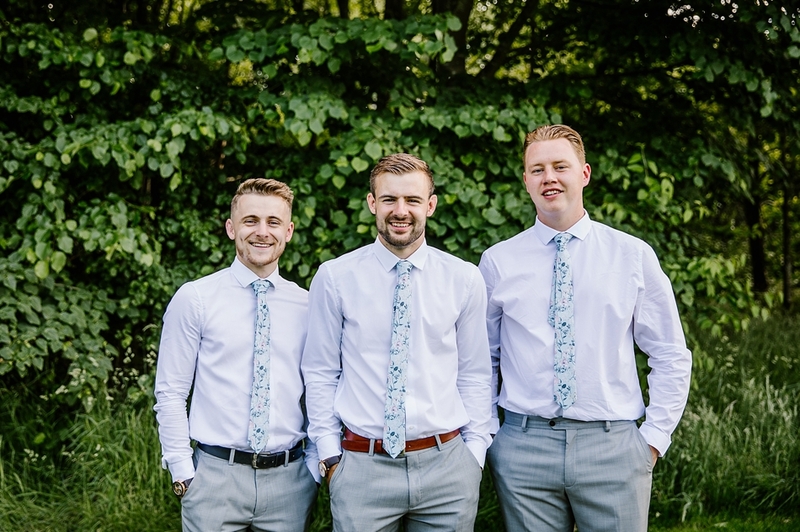 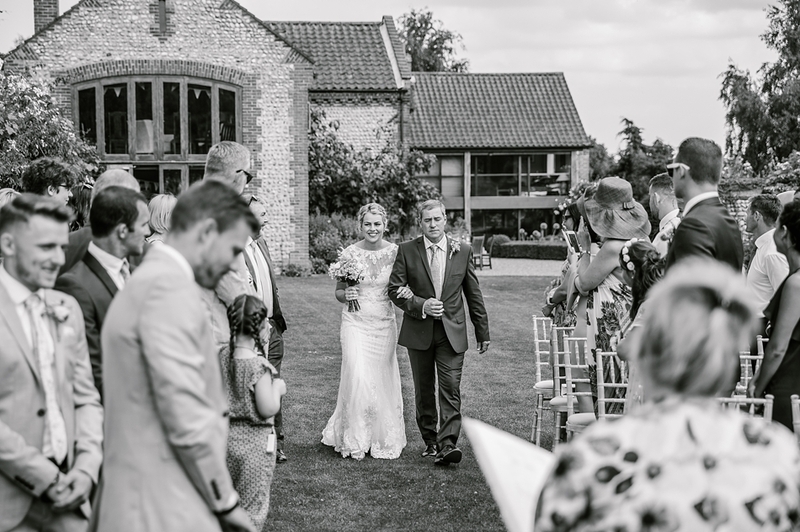 I think it was literally the hottest wedding I had ever photographed and maybe still to this day… and what better place for a gloriously sunny wedding than non other than Chaucer Barn. 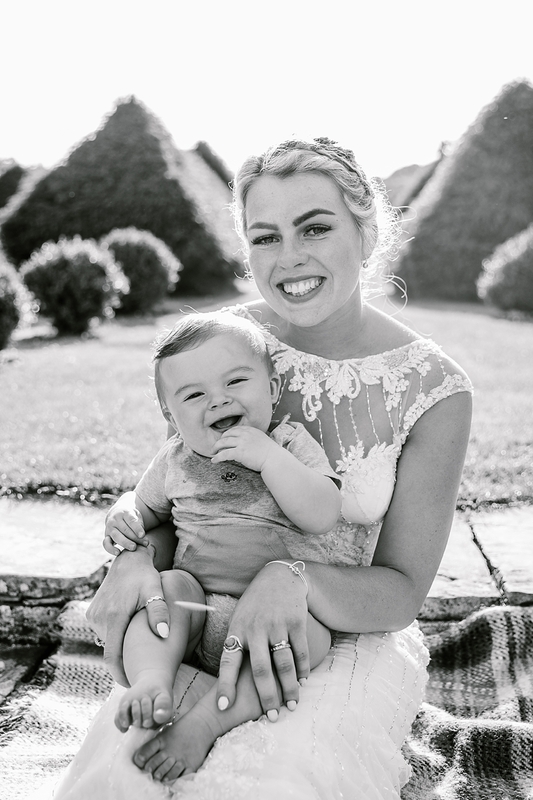 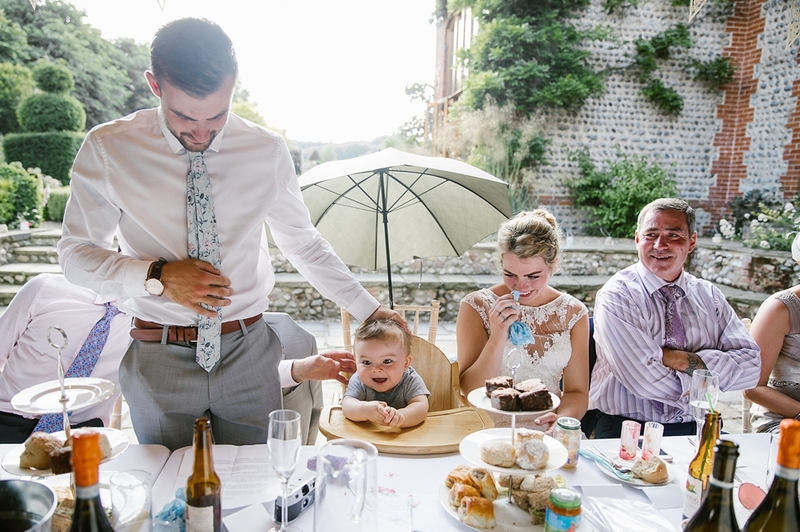 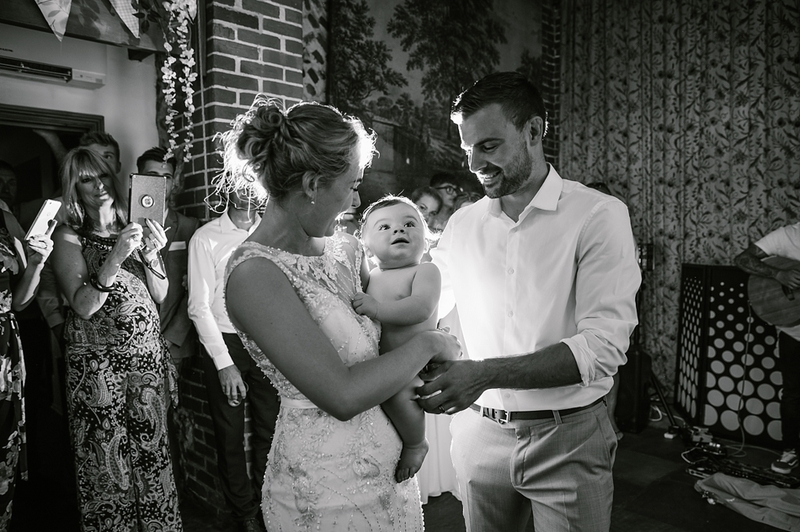 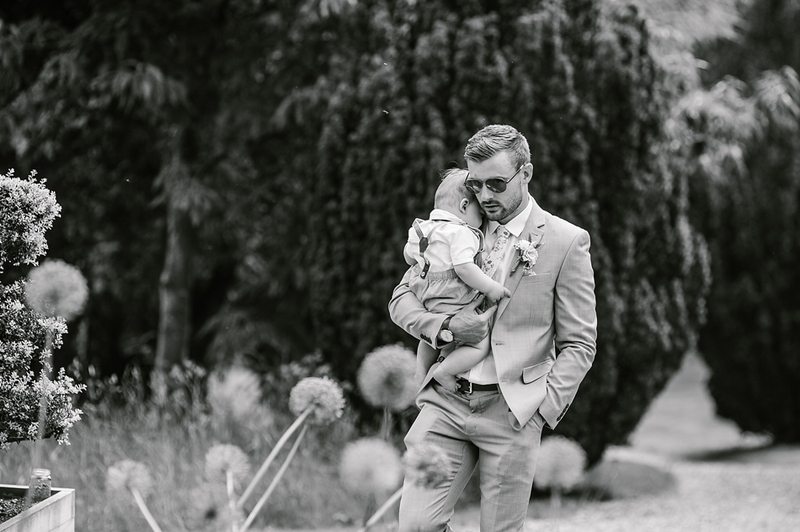 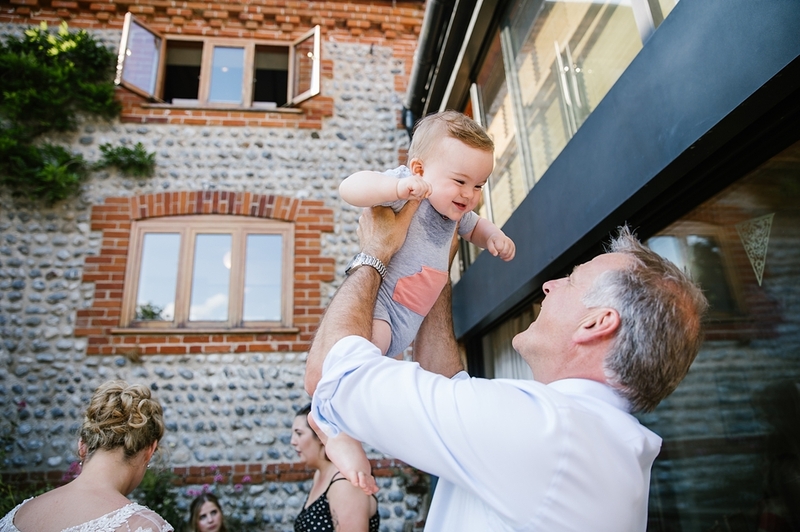 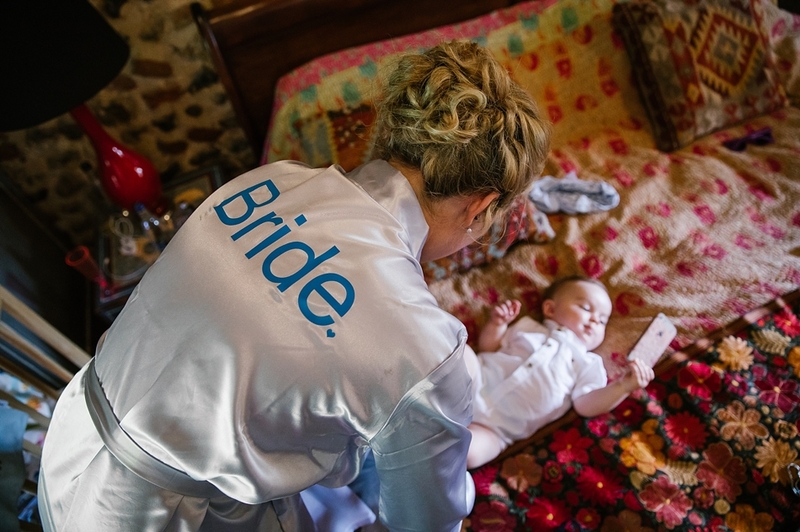 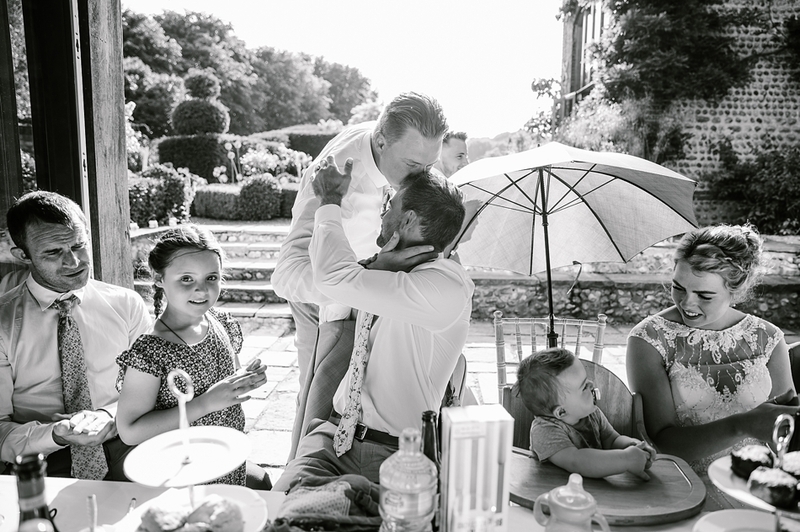 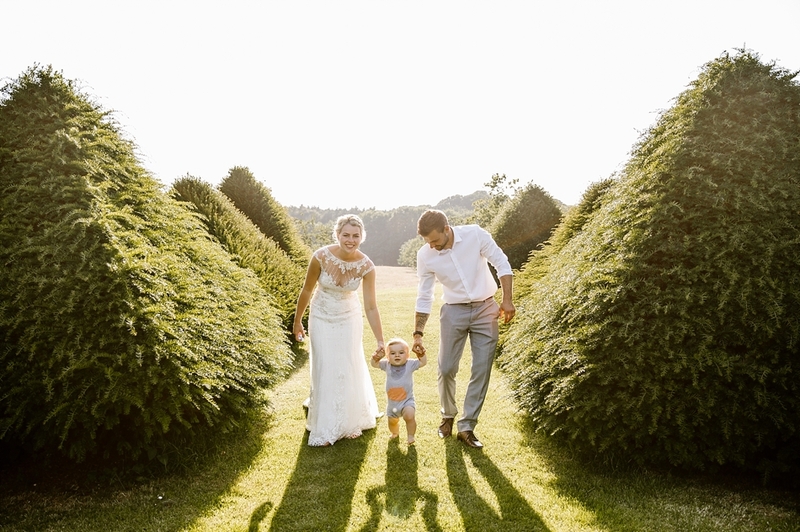 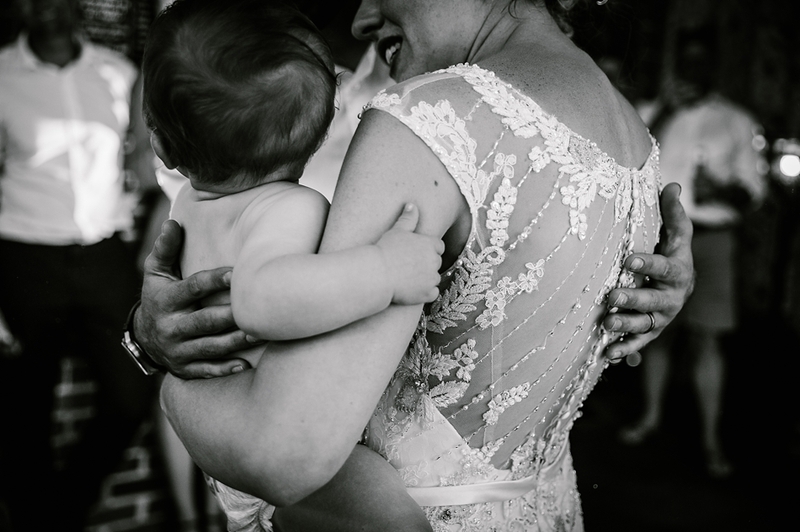 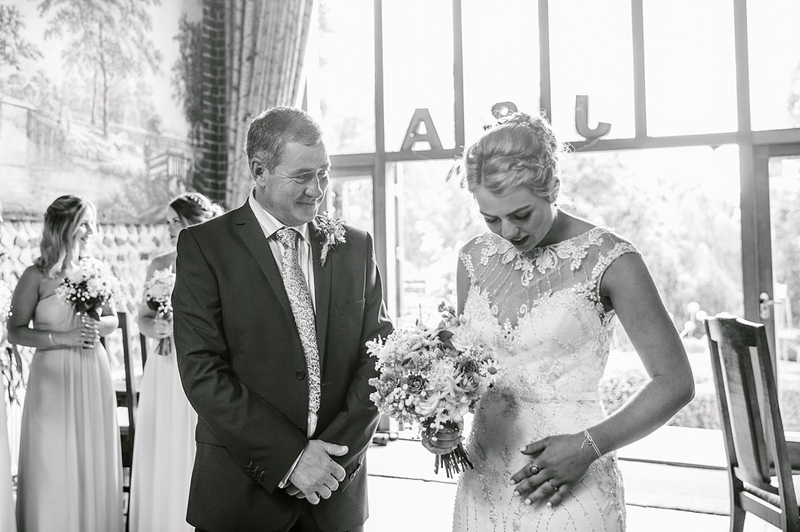 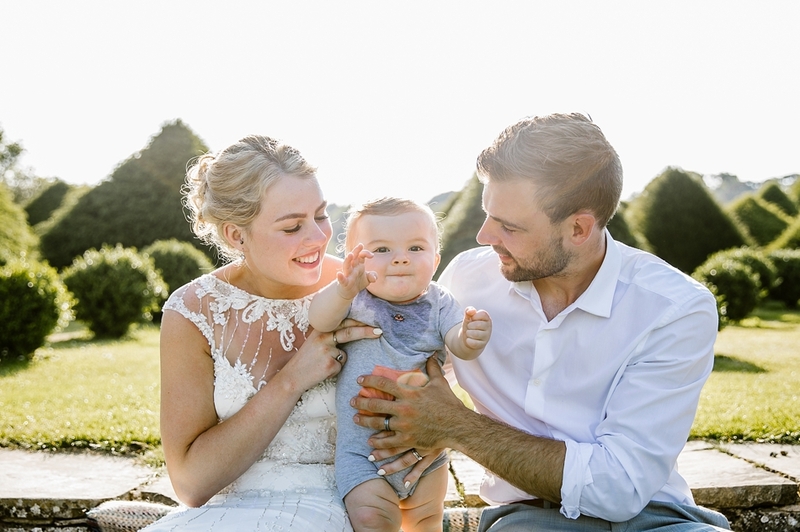 This wedding feels like such a long time ago, in fact Jack and Amy who at the time of the wedding had baby Arlo have since added to their family and now have a beautiful baby girl! 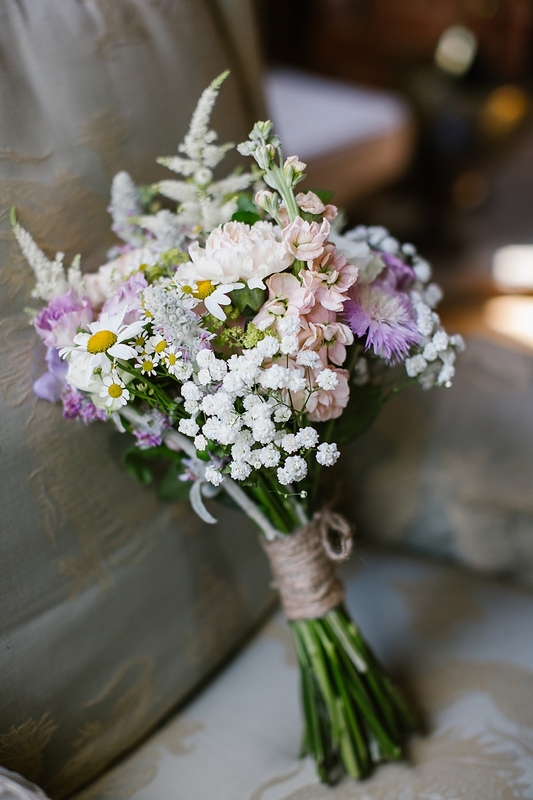 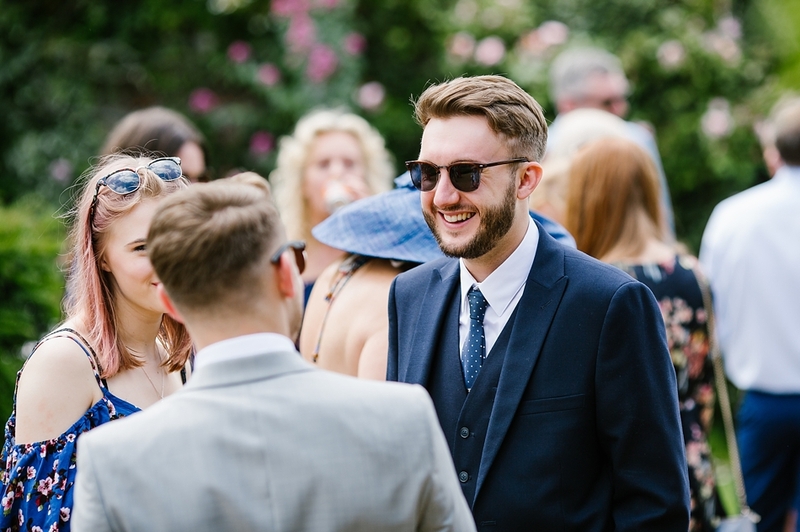 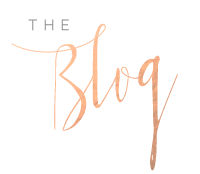 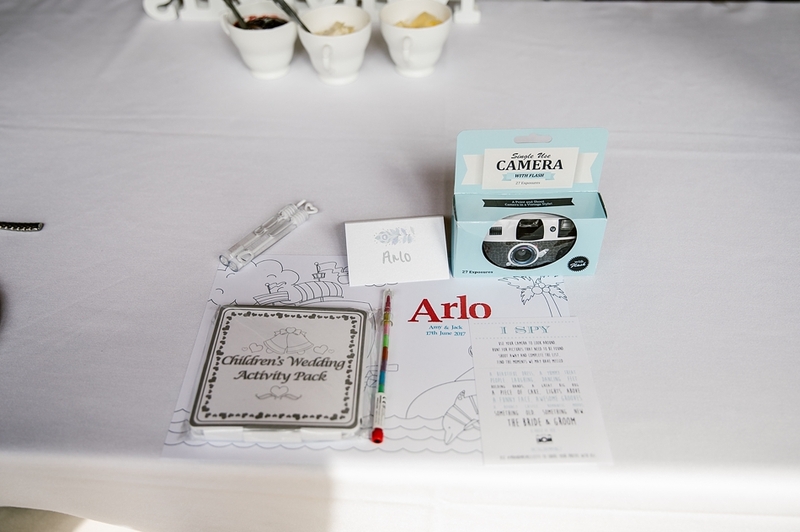 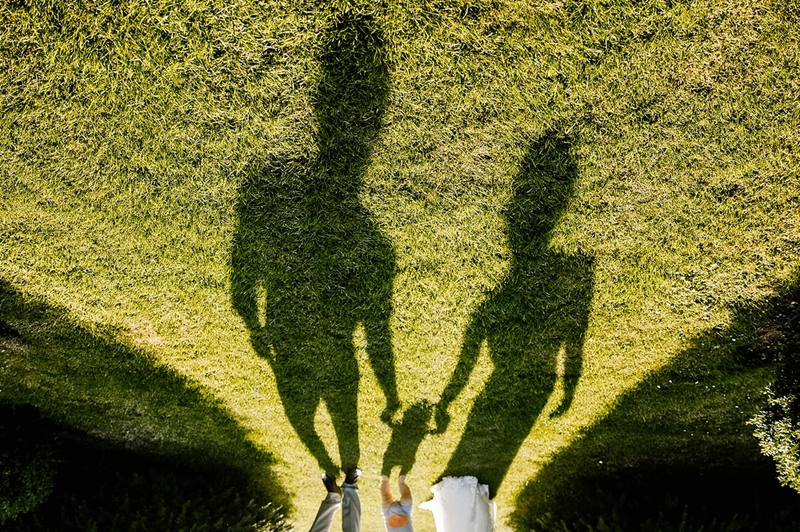 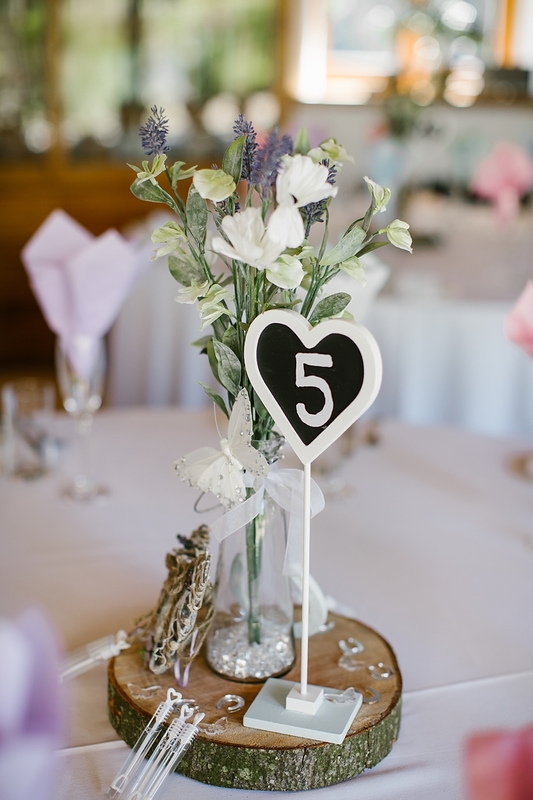 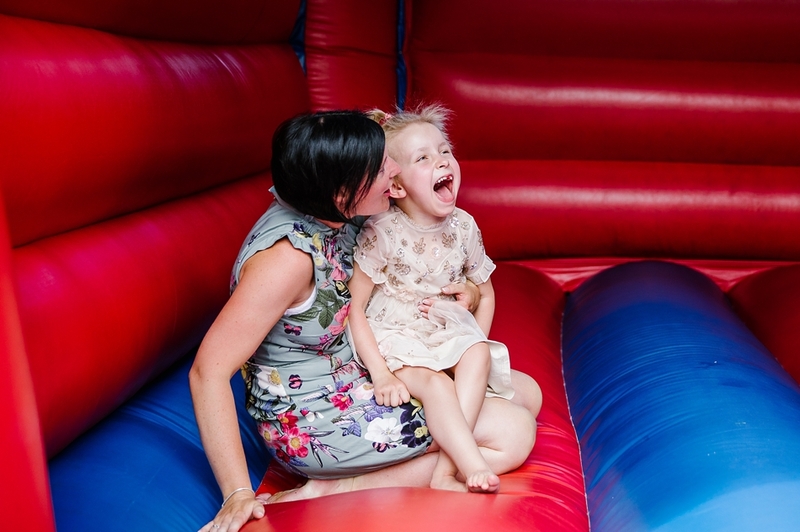 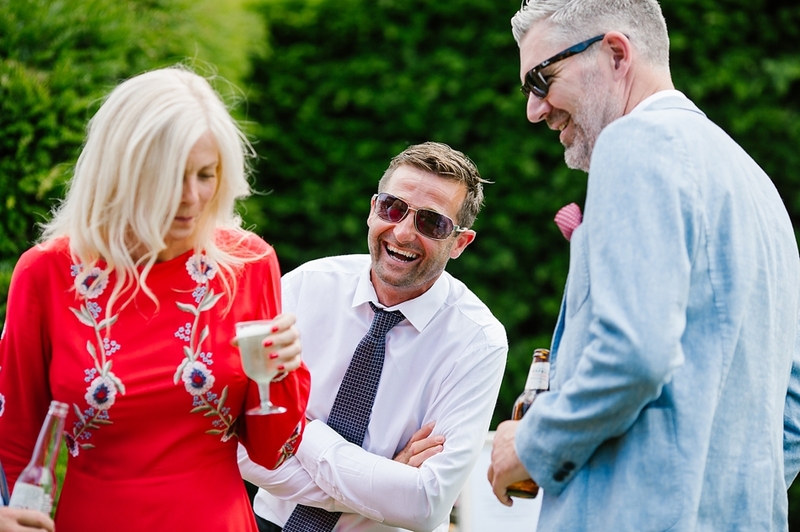 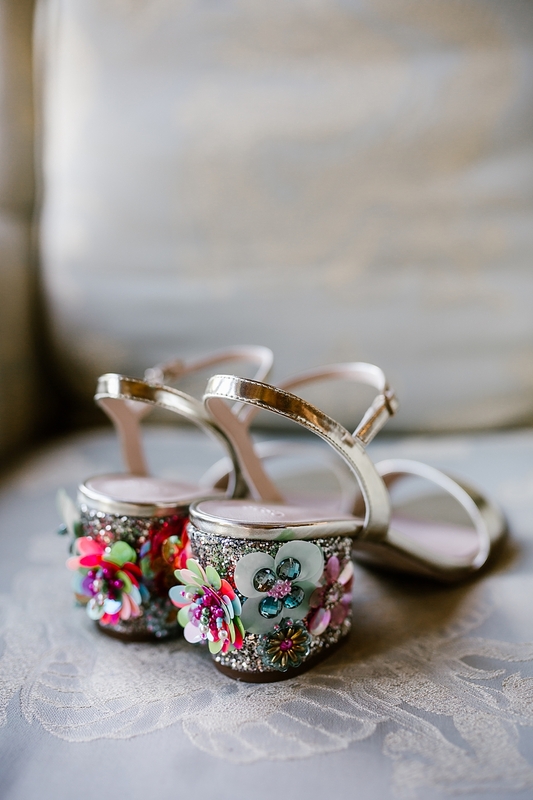 It was though a wedding I really wanted to share as it was so relaxed and so much fun. 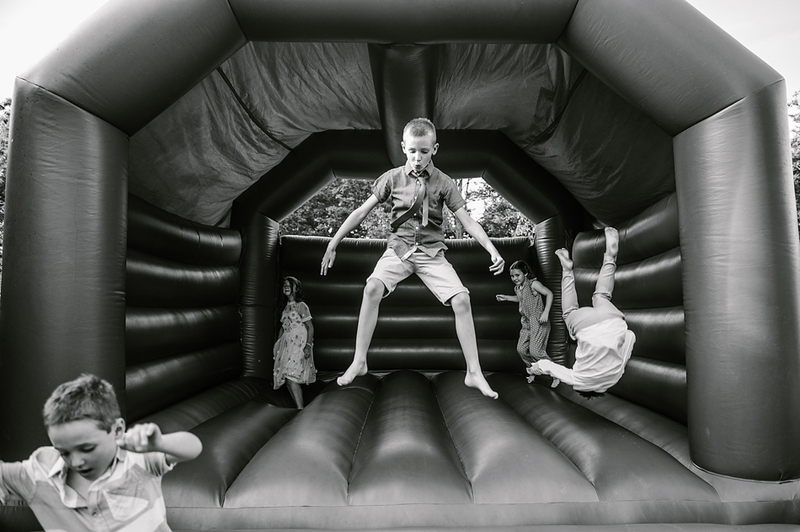 I feel like wherever I pointed my camera kids were playing, adults were laughing and everyone was generally just having a wonderful time. 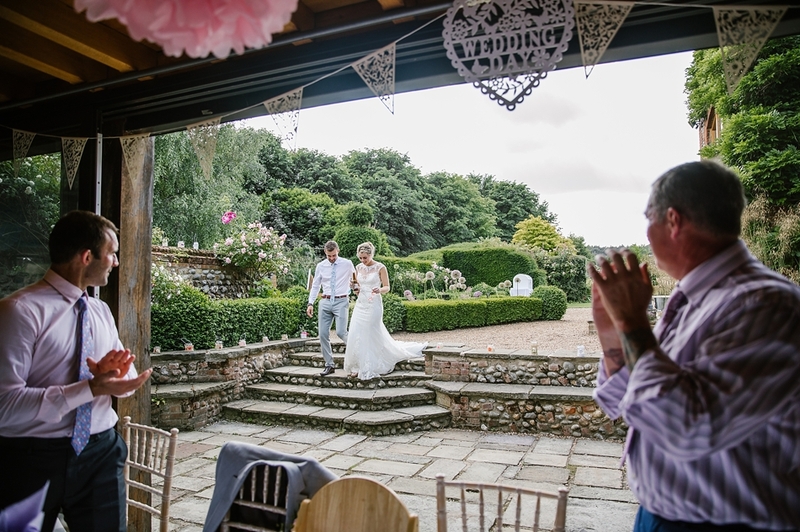 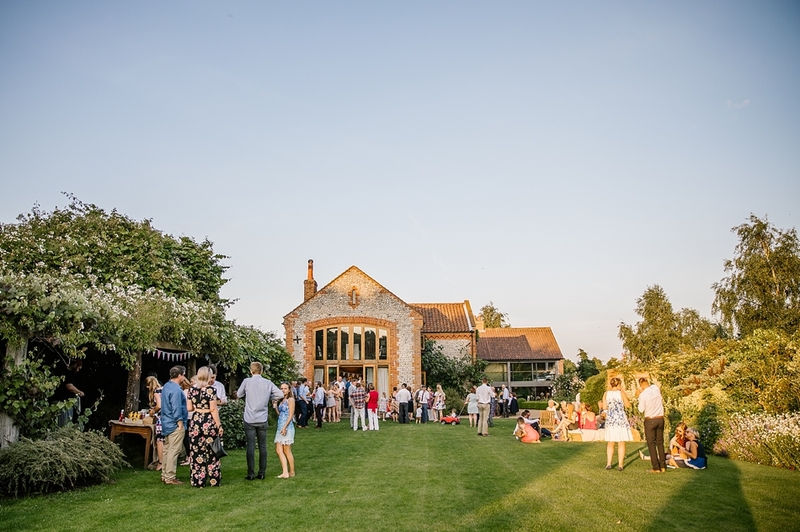 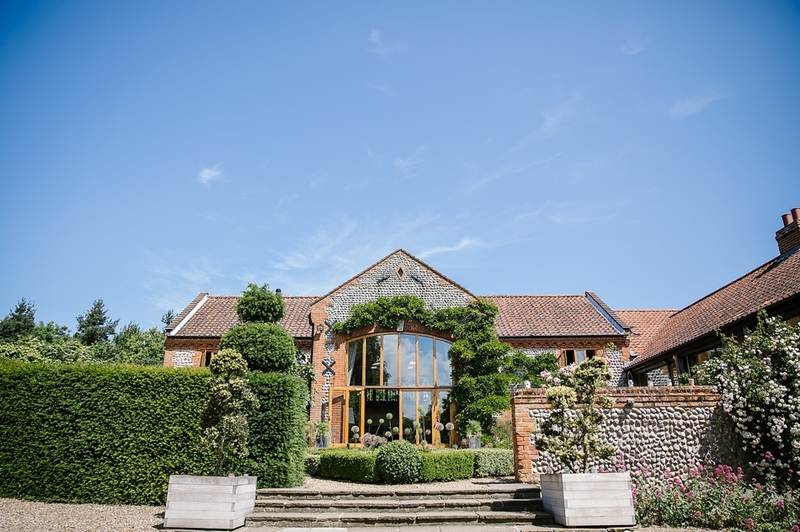 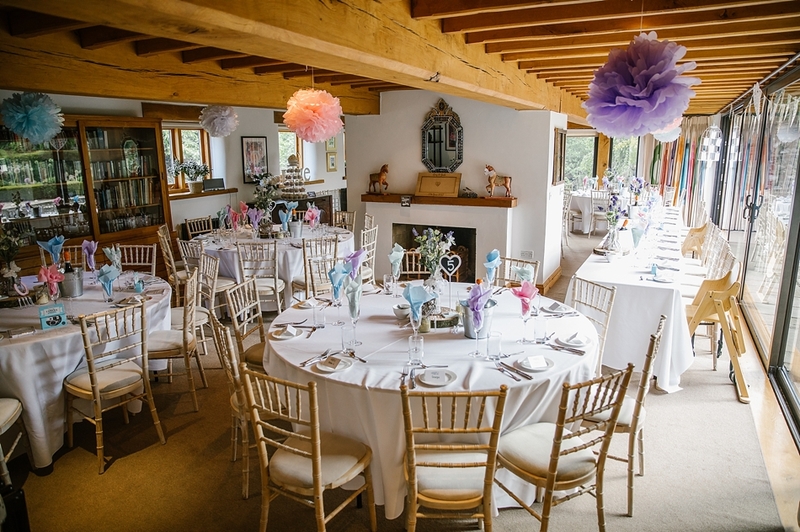 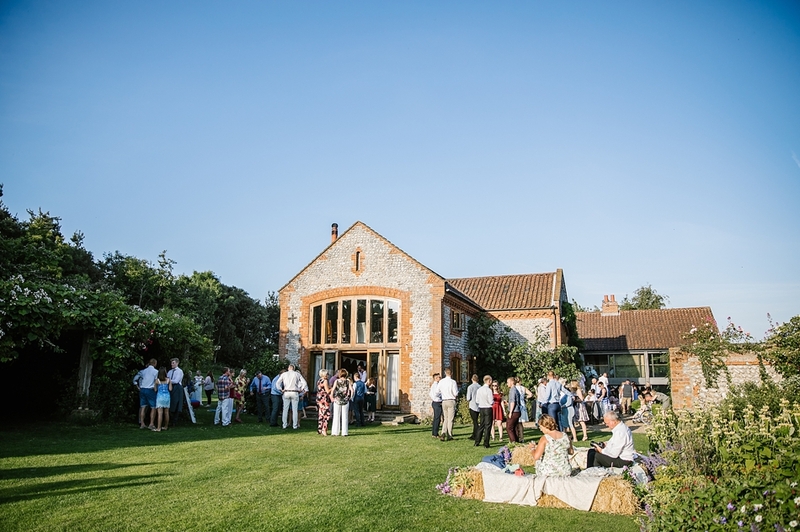 If there ever was a venue perfect in hot weather its Chaucer Barn. 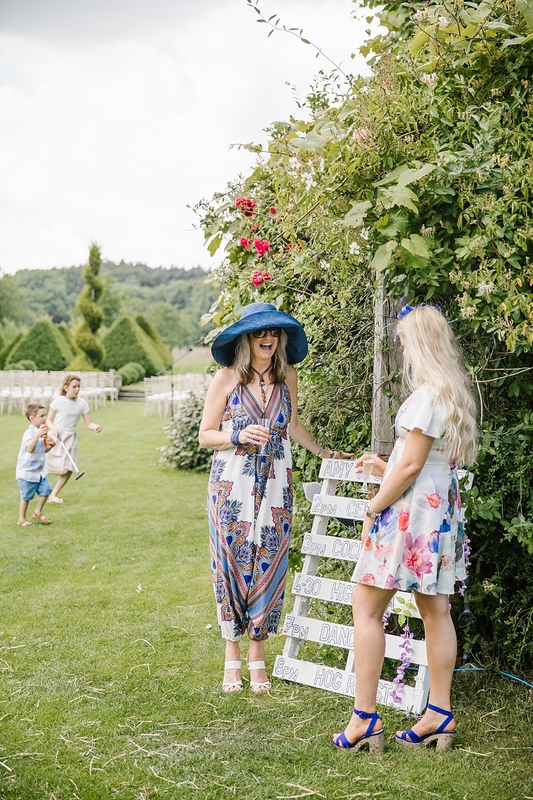 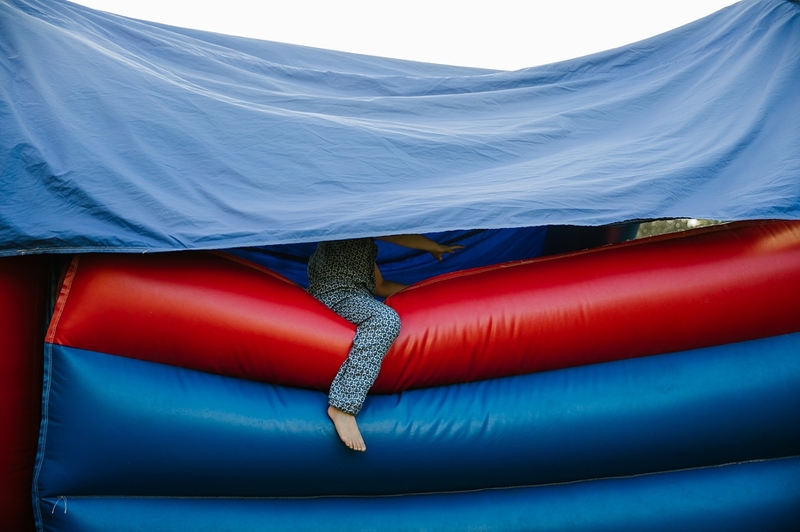 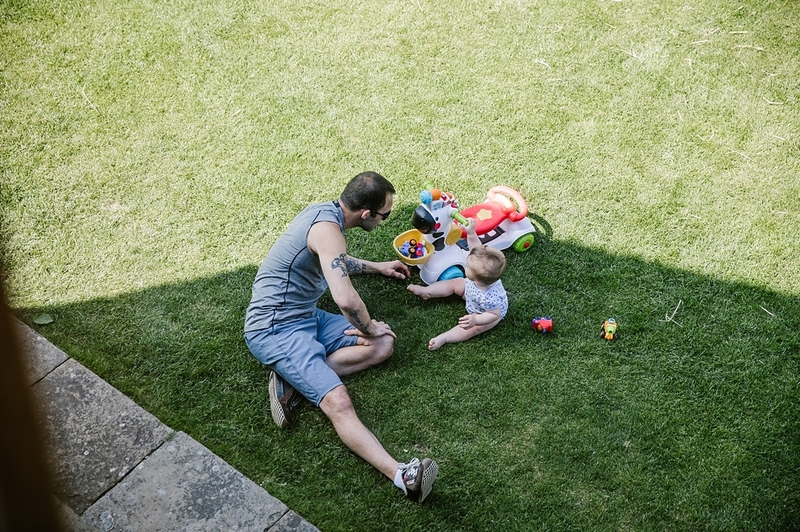 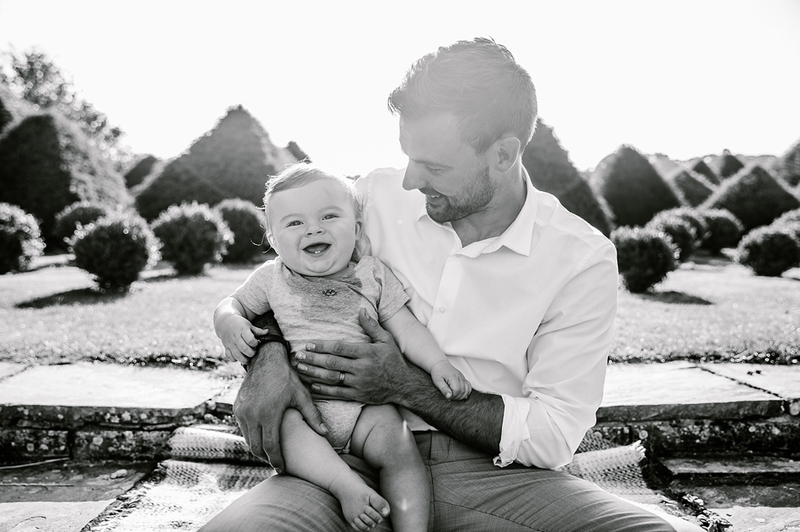 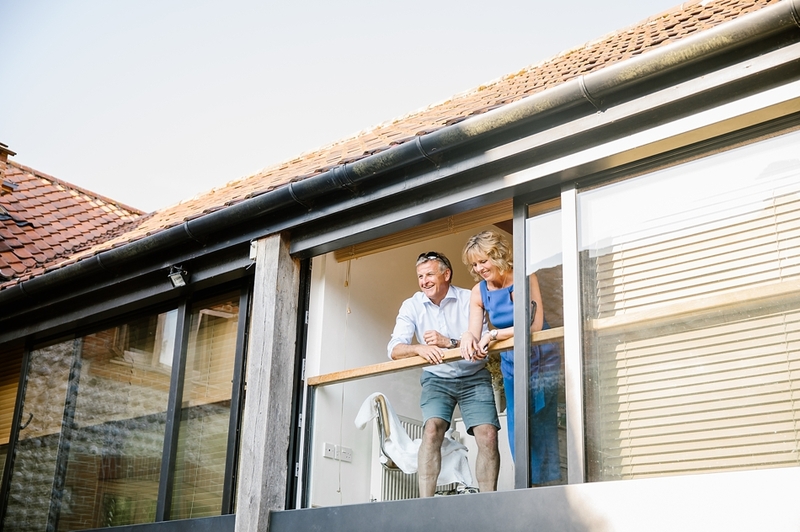 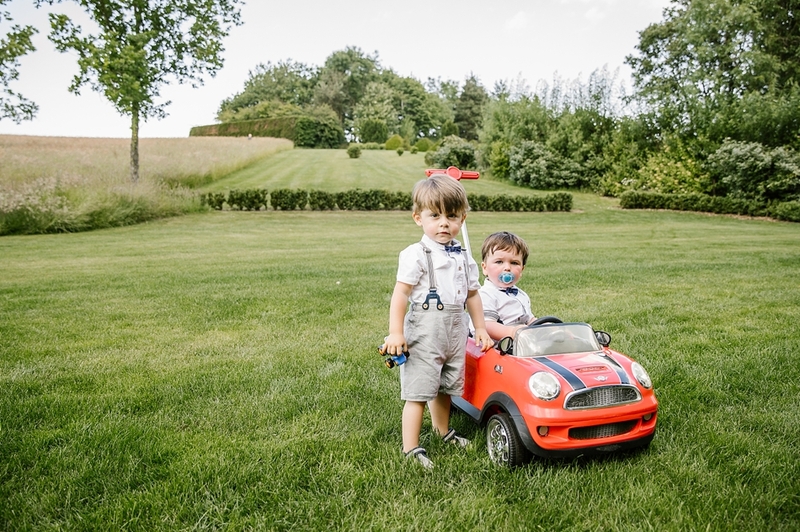 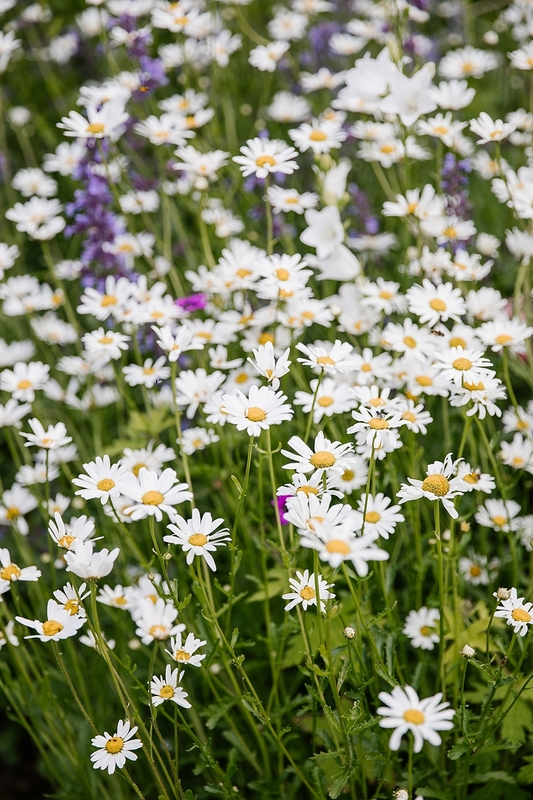 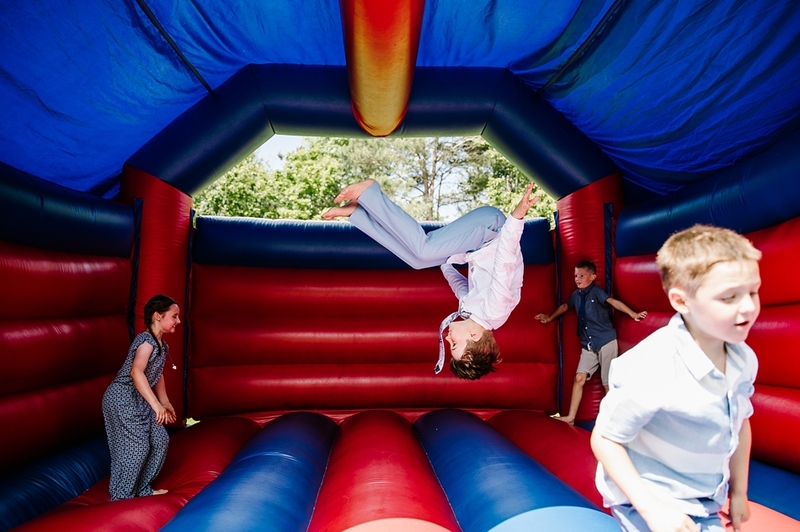 Big lawns, climbing frames for the kids, fields, gardens and a meadow to explore, canopies of foliage for shade and the cool interior of the barn. 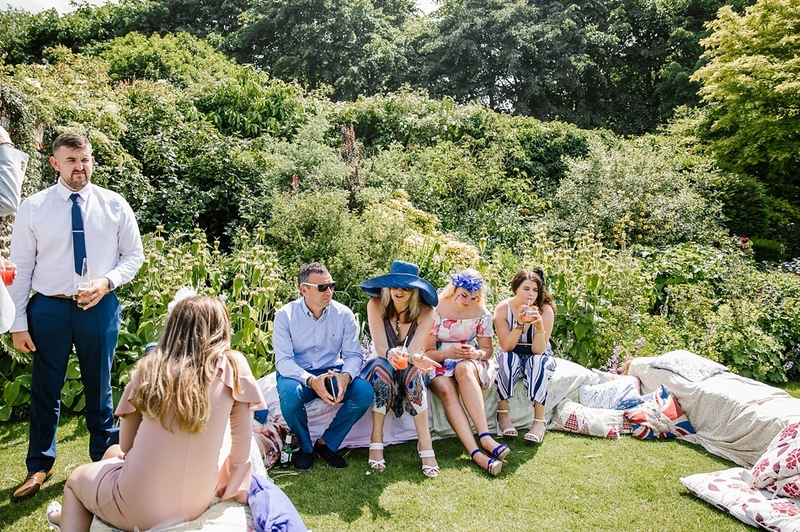 On a sunny day there is no more beautiful place to be! 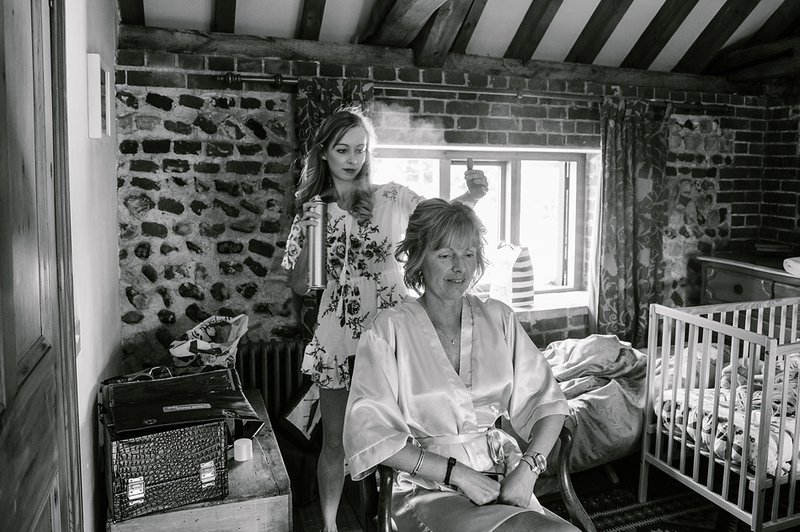 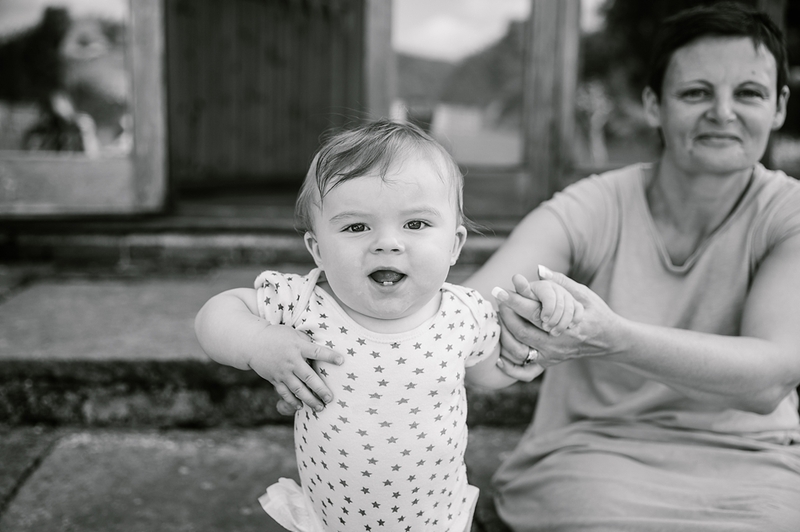 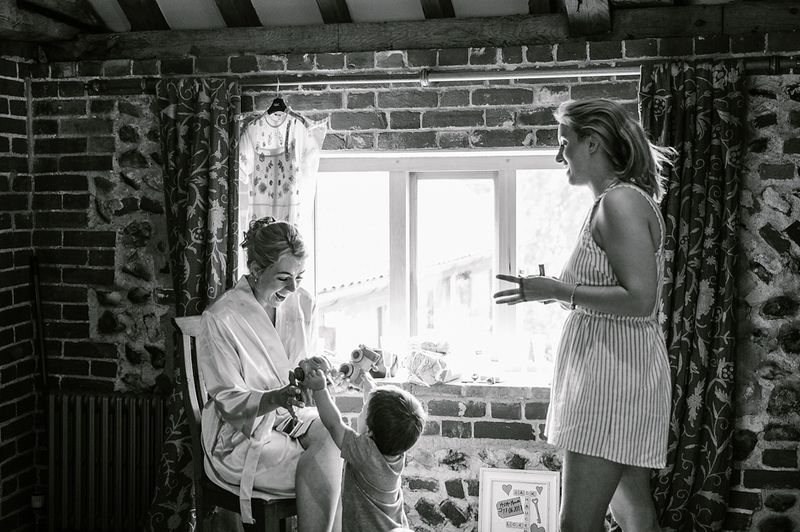 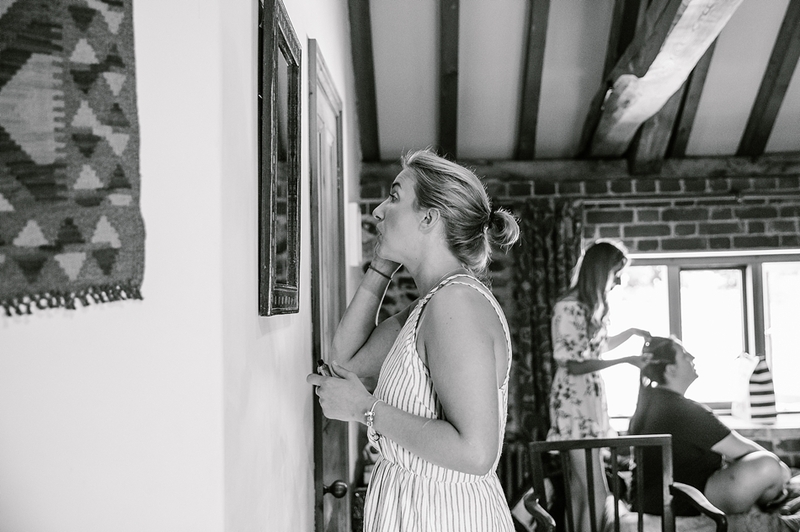 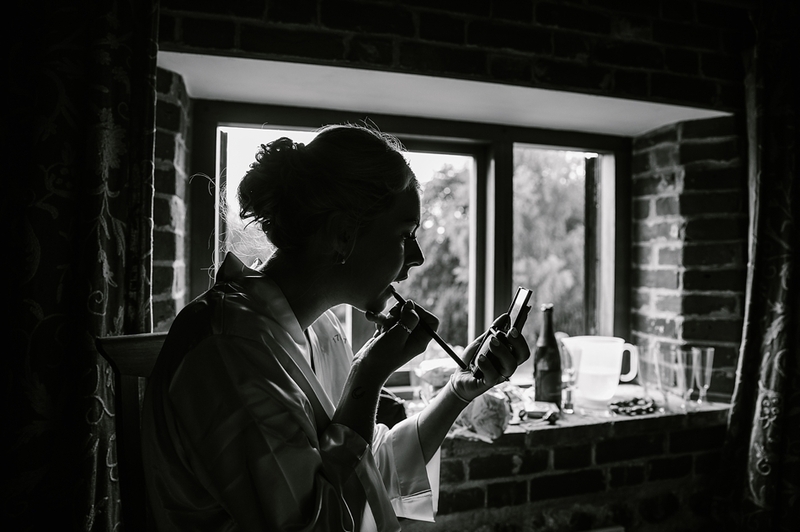 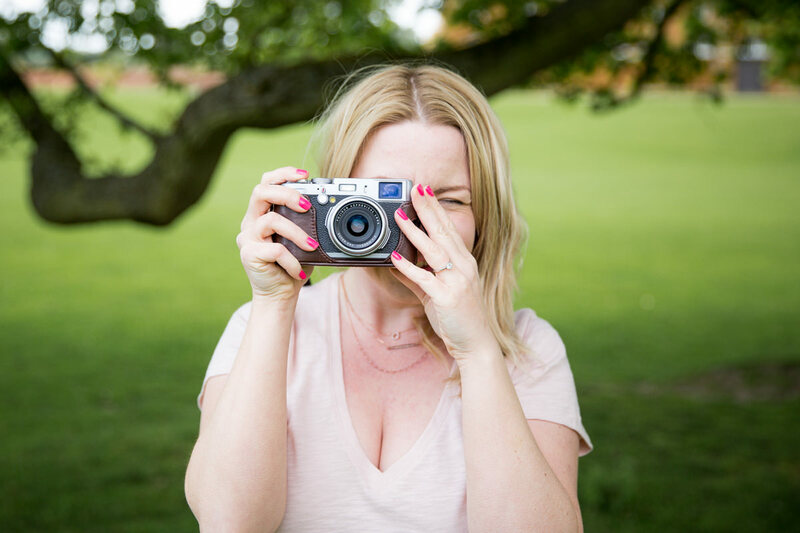 Amy was getting ready with her girls in the flint bedroom at the barn when I arrived while the last few bits and pieces were being set up and her gorgeous little boy Arlo was playing on the lawn. 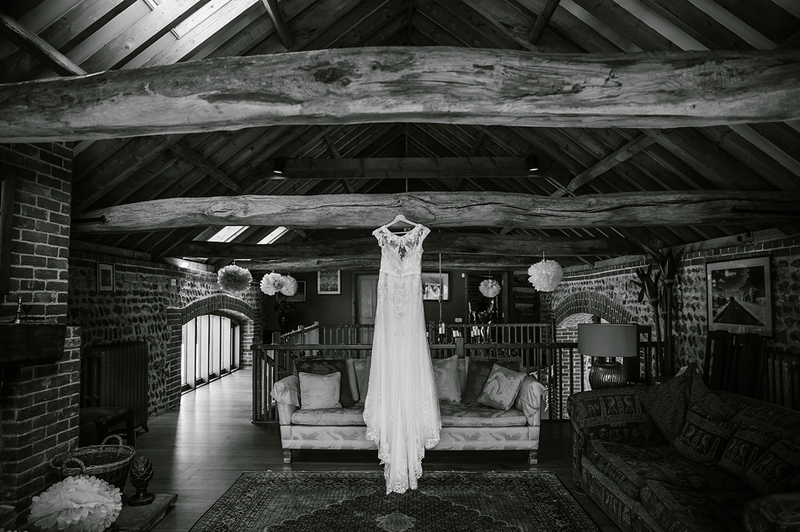 I shot Amy’s incredible dress over on the balcony sitting room and when I took it out of the bag I was blown away! 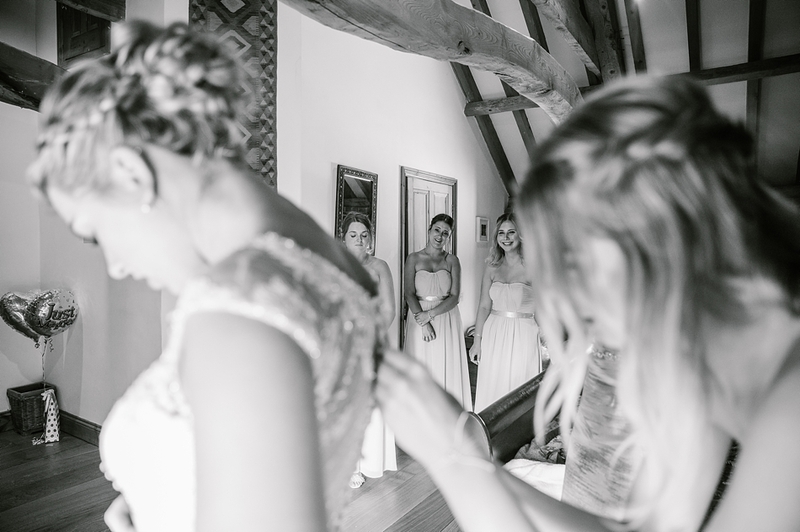 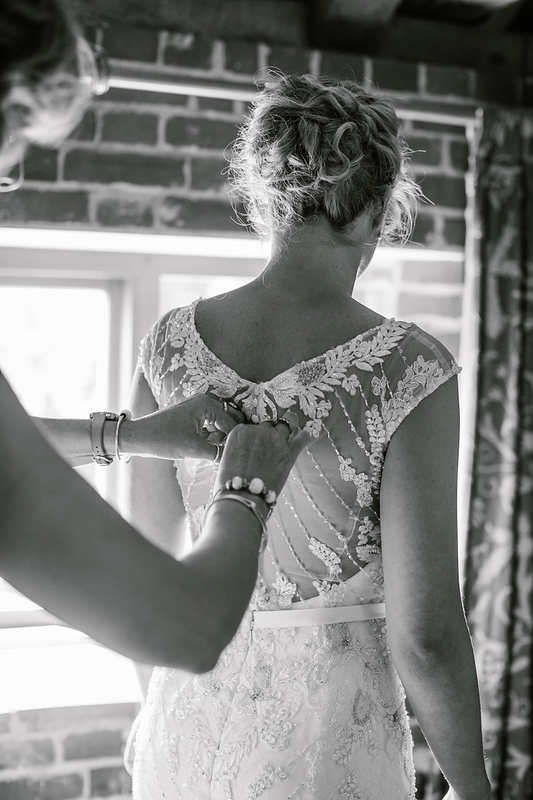 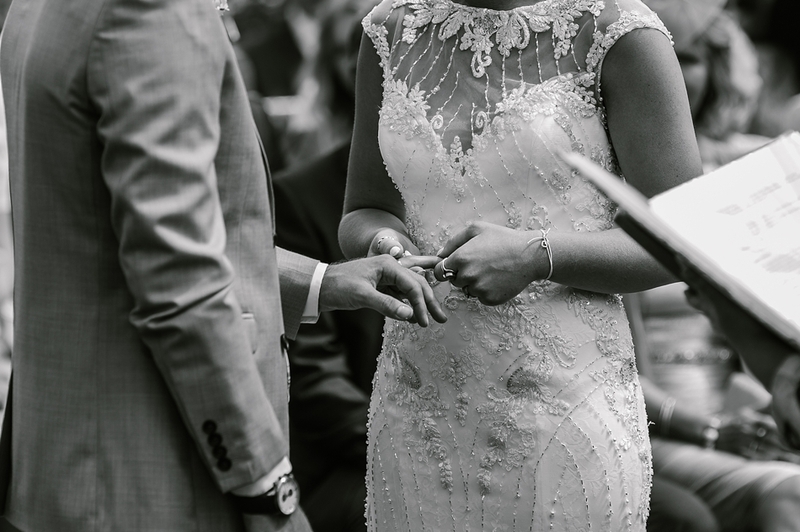 It was a stunning beaded gown and was going to look incredible shimmering in the sunshine! 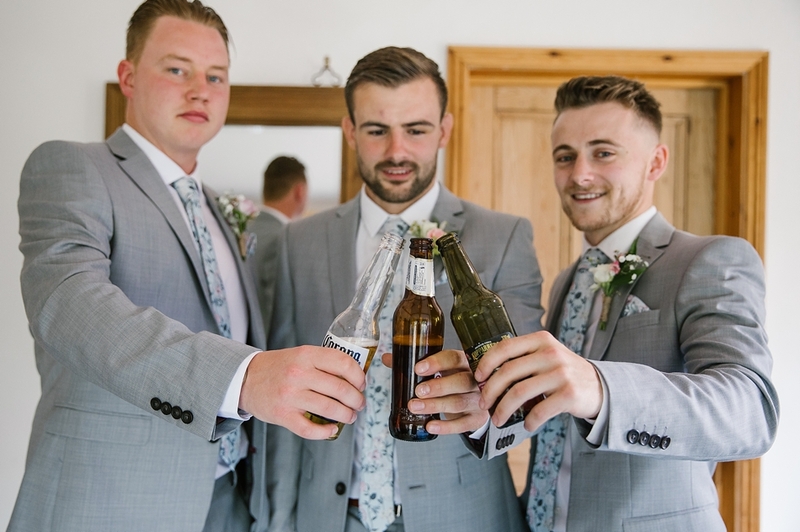 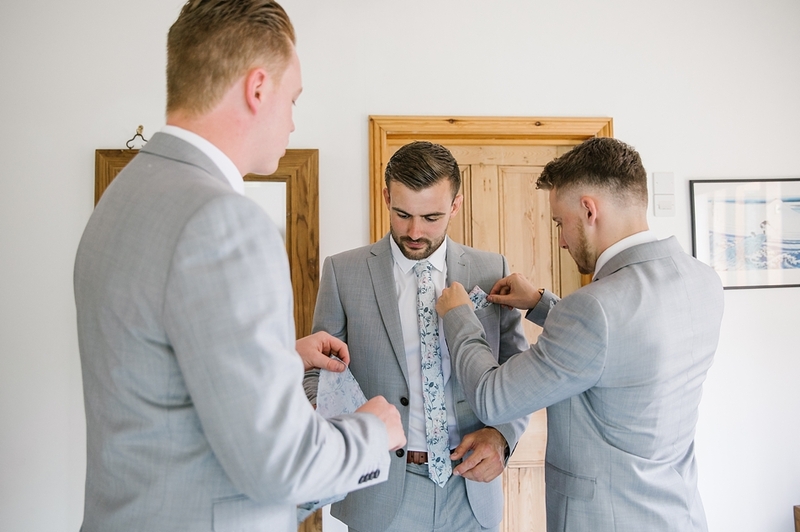 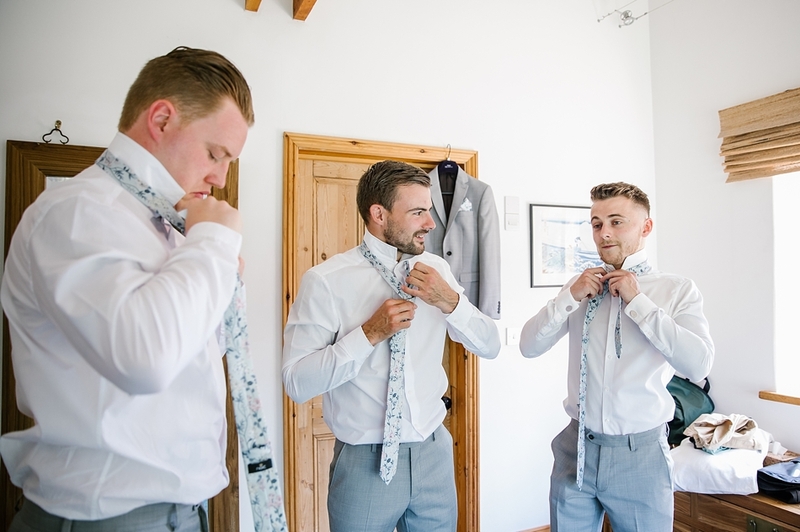 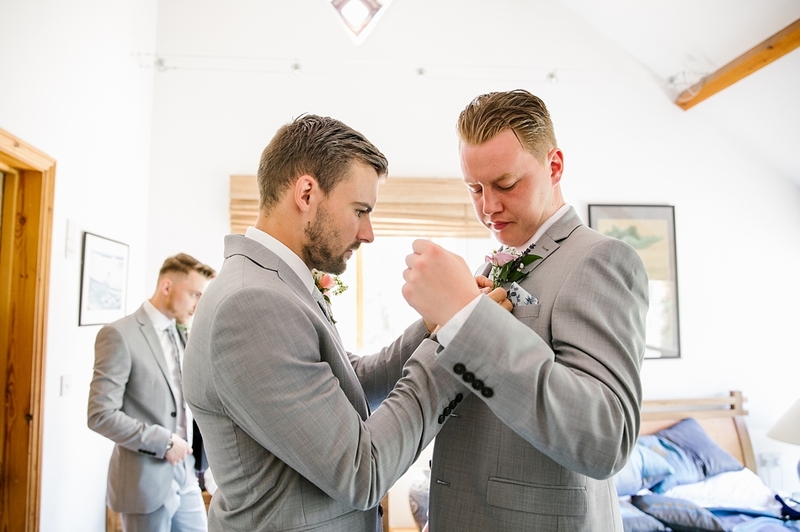 I headed over to the boys who were already boiling before getting into their suits but I got some lovely shots of them all getting ready and having a beer while they did it… I think the jackets quickly came back off when I left though! 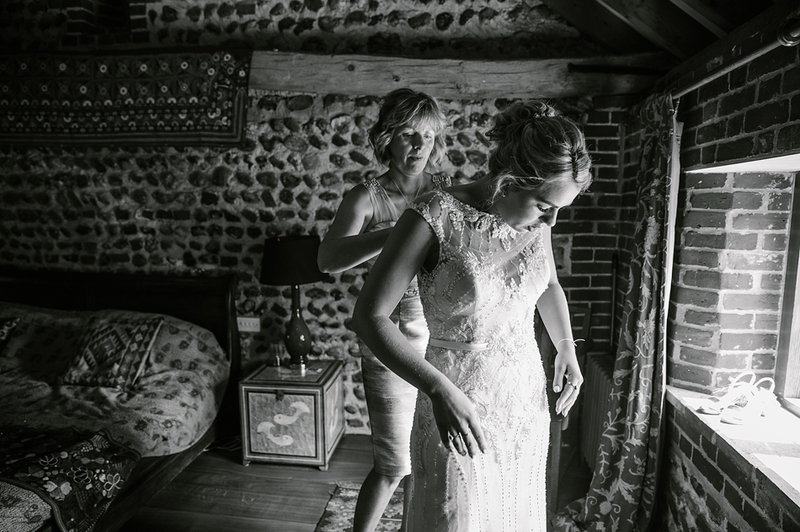 Back with the girls it was time for Amy to get into her dress with the help of her mum. 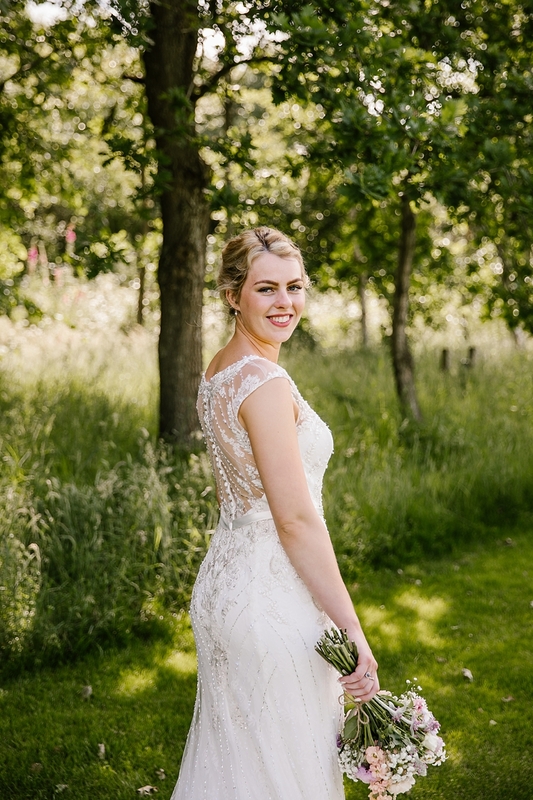 She looked incredible and we had a bit of time to get some lovely shots of her all ready before the registrar came to speak to her. 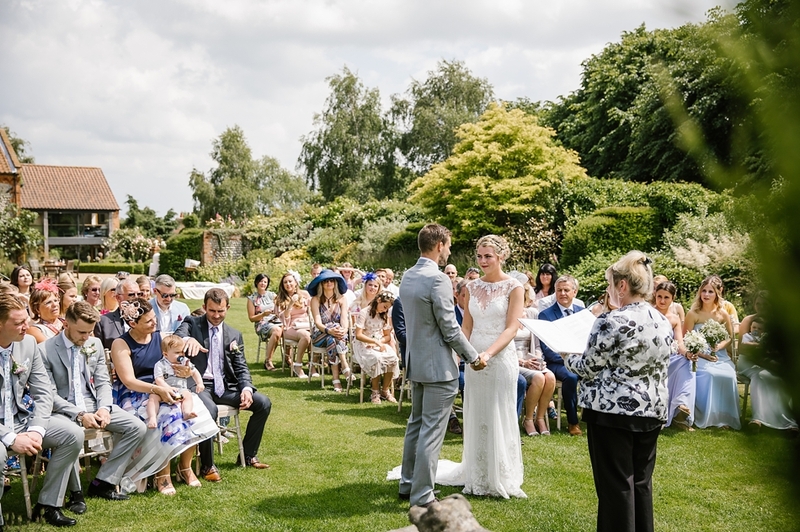 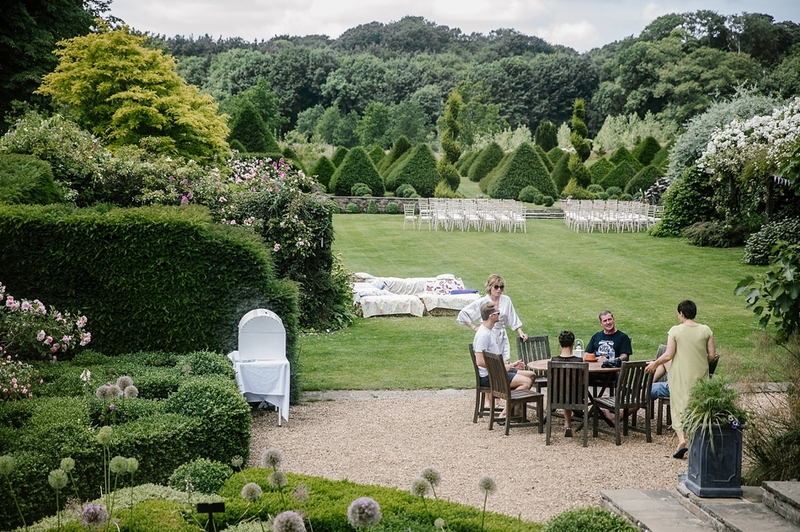 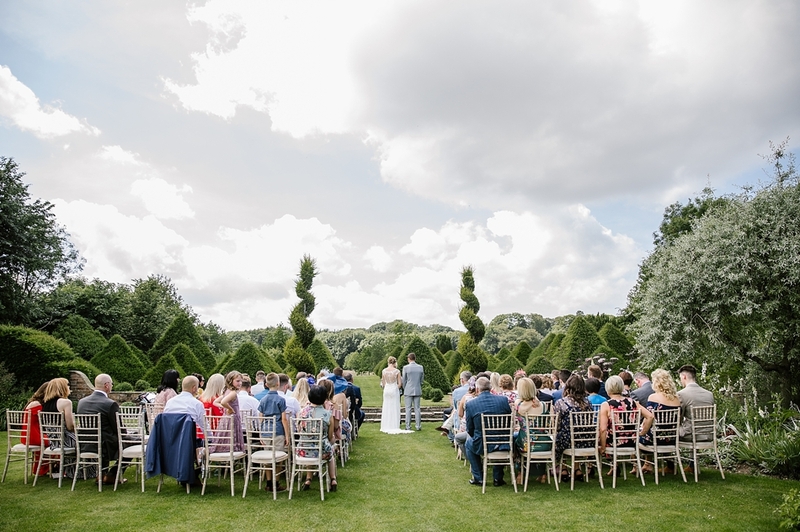 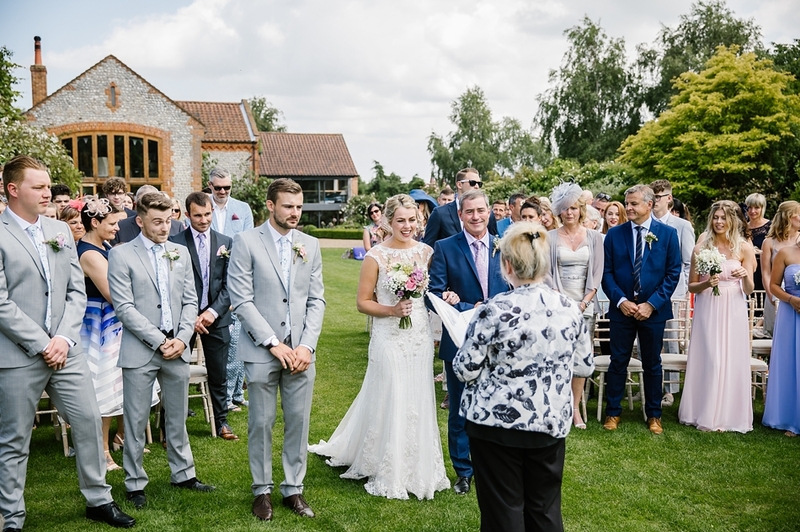 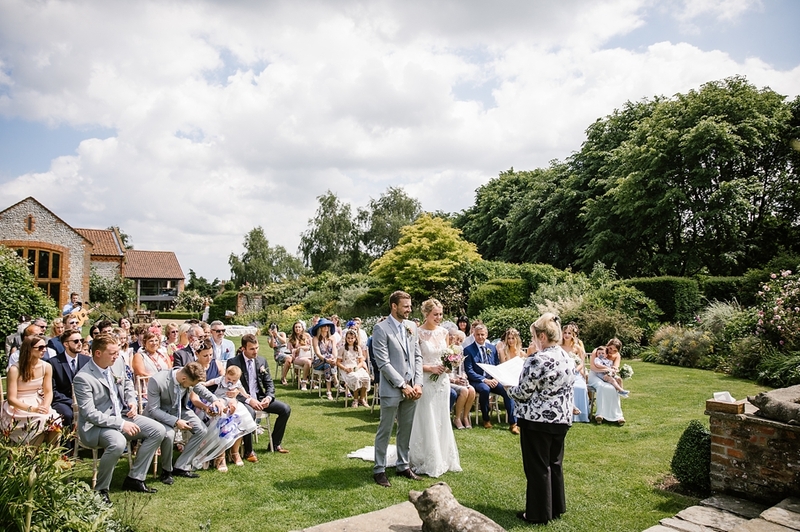 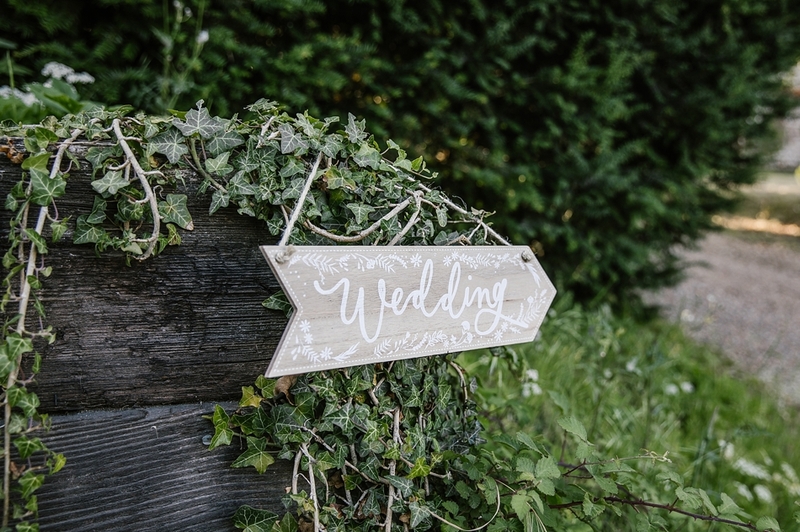 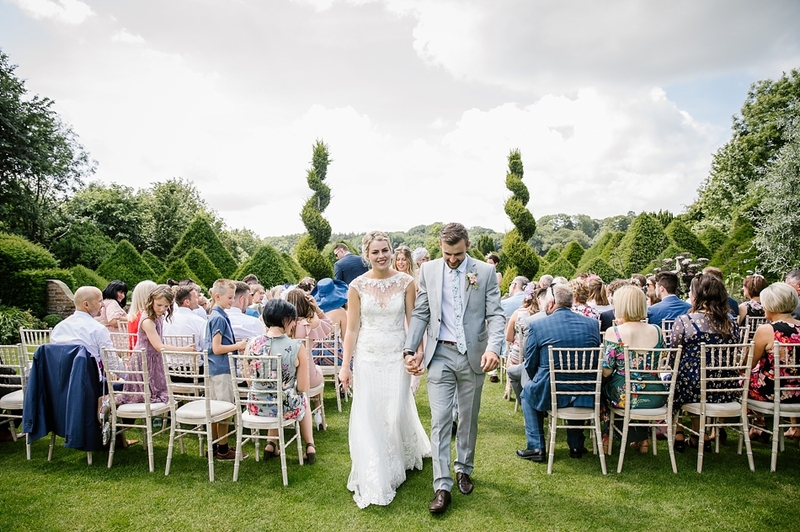 An outside ceremony was planned which doesn’t always happen if it looks like the weather could turn but the sun stayed out and the guests were seated. 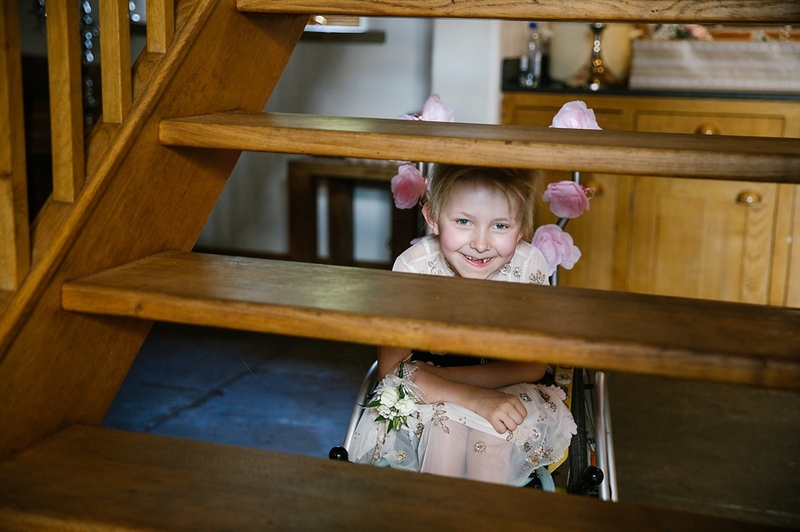 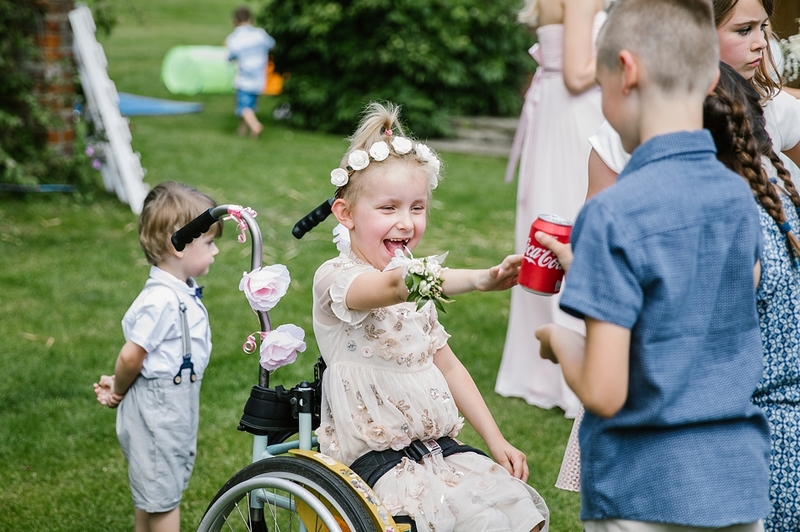 She was walked down the aisle by her Dad Grant and looked happy and relaxed to see Jack waiting at the end. 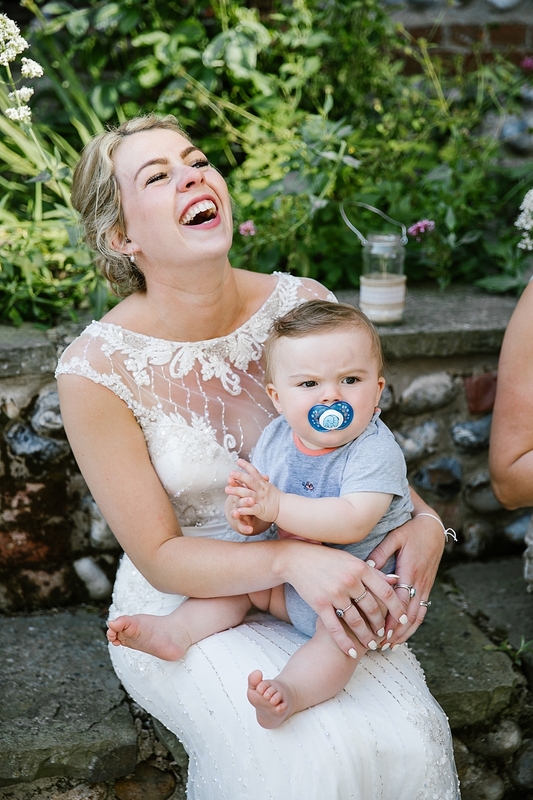 After a beautiful ceremony we did confetti on the lawn and their group shots nice and quickly so Arlo could take a nap. 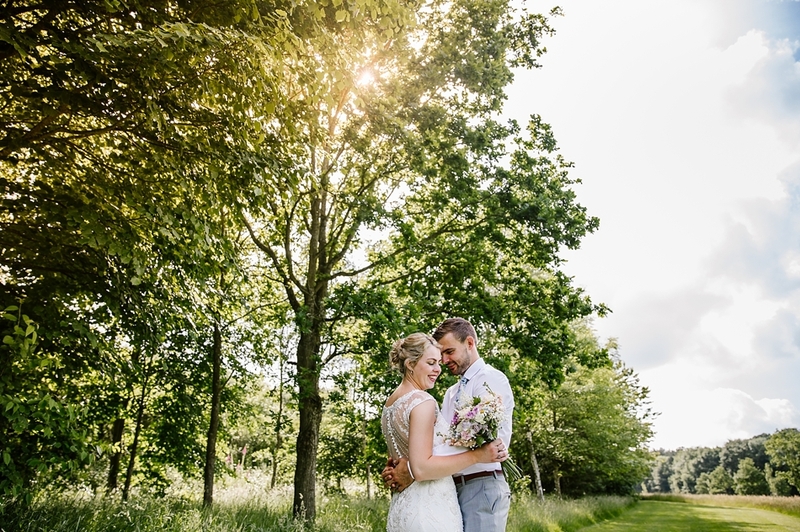 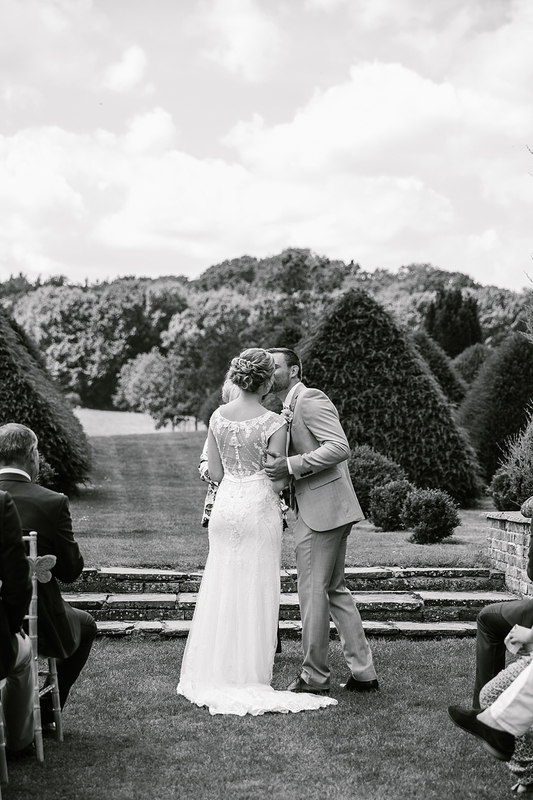 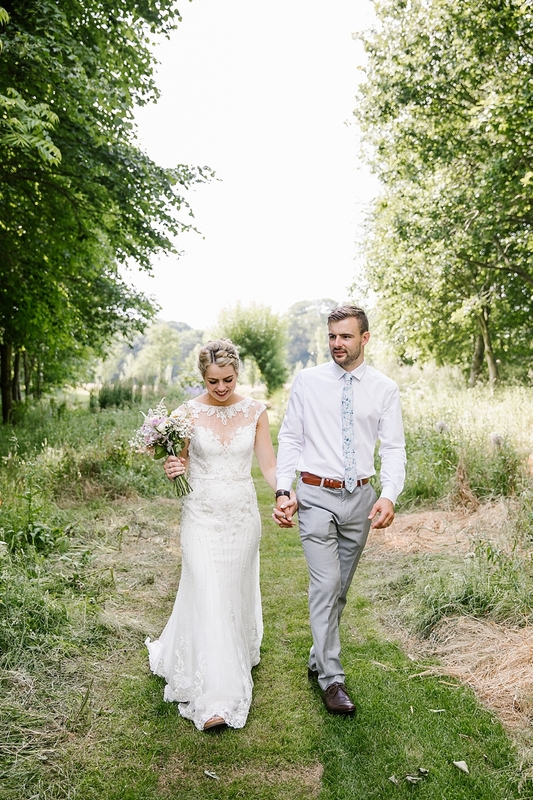 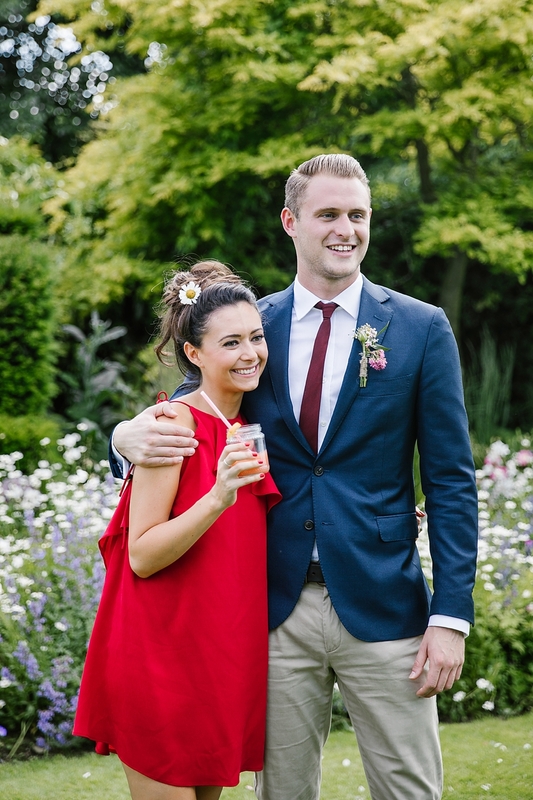 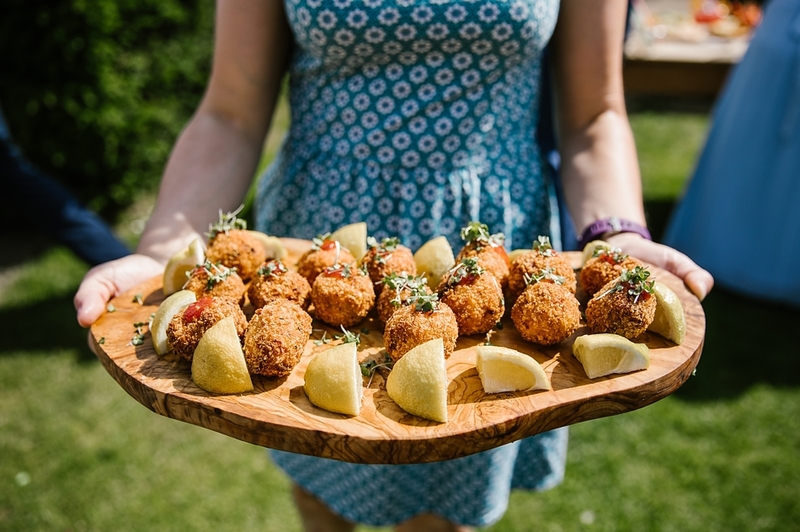 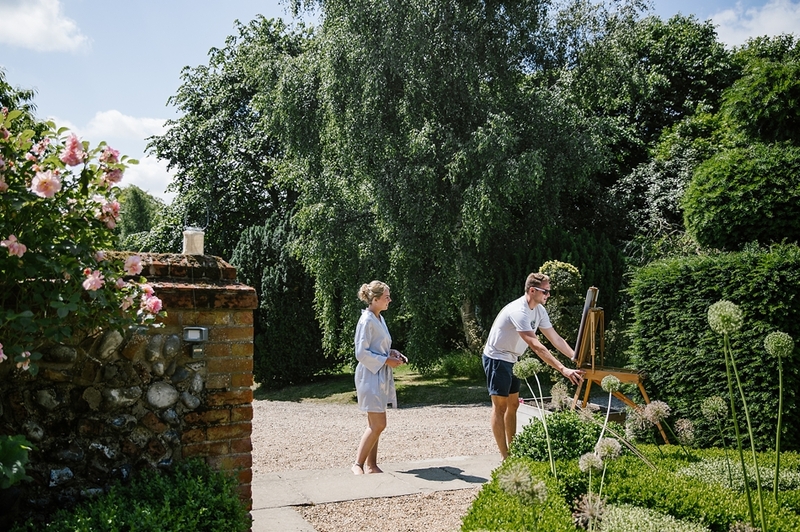 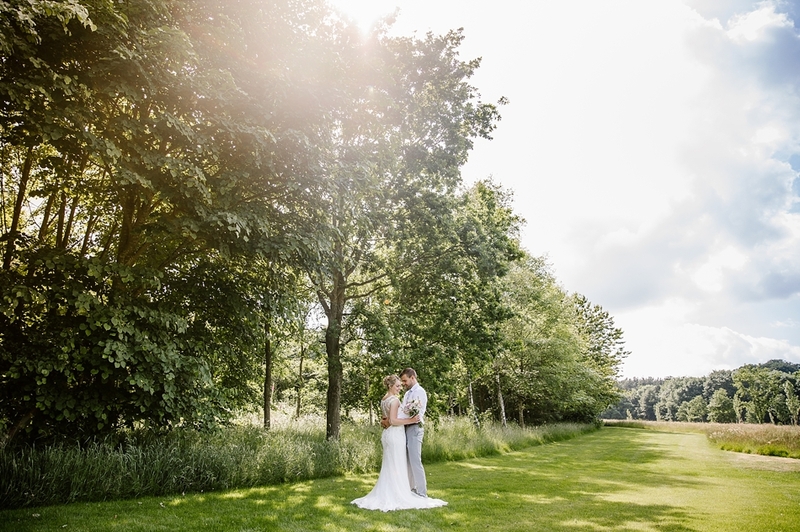 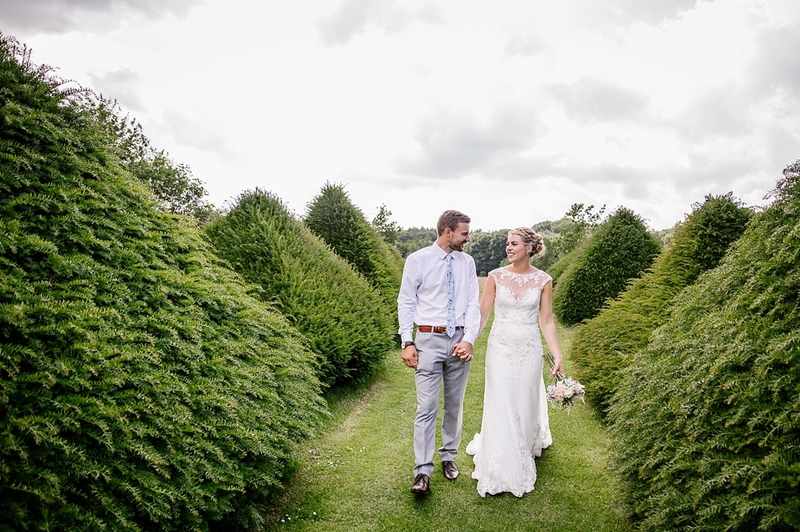 We had a walk round the grounds for their couple shots which their guests were chatting and enjoying the drinks, canapés and sunshine! 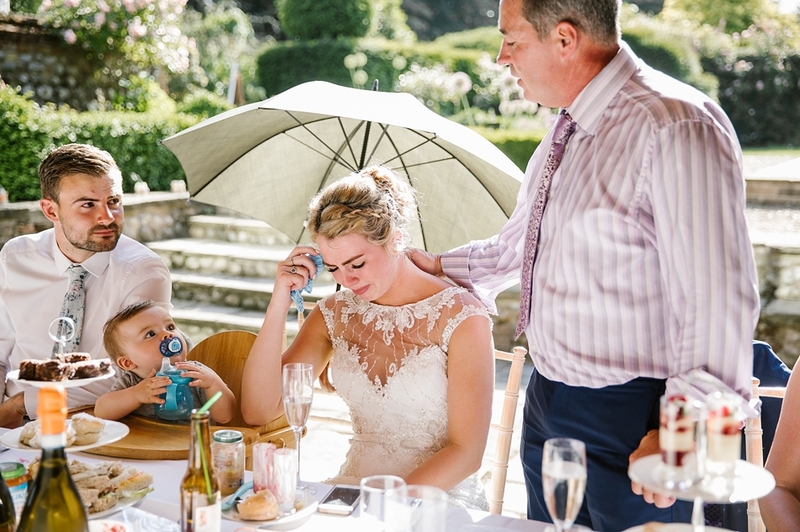 After their afternoon tea were some fabulous speeches that had lots of the crowd in tears with lots of laughs too! 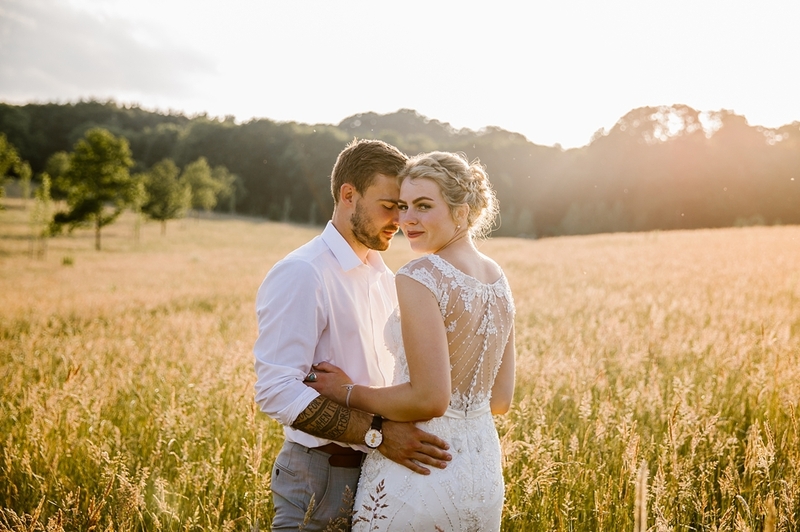 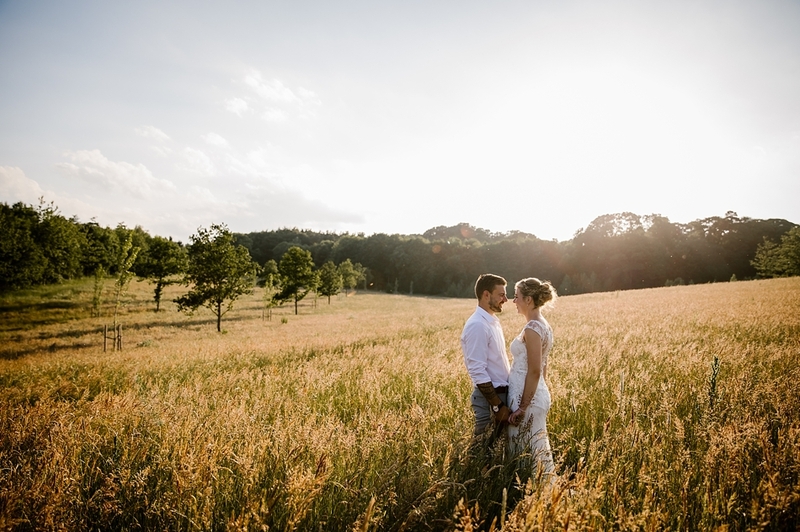 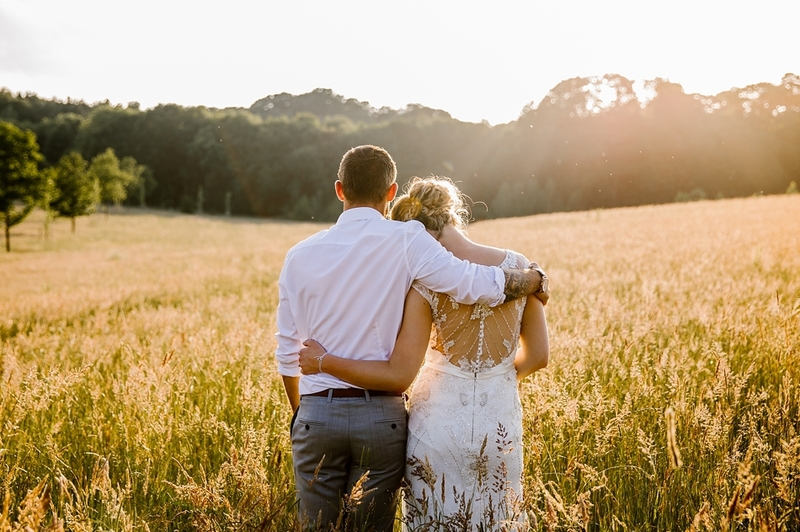 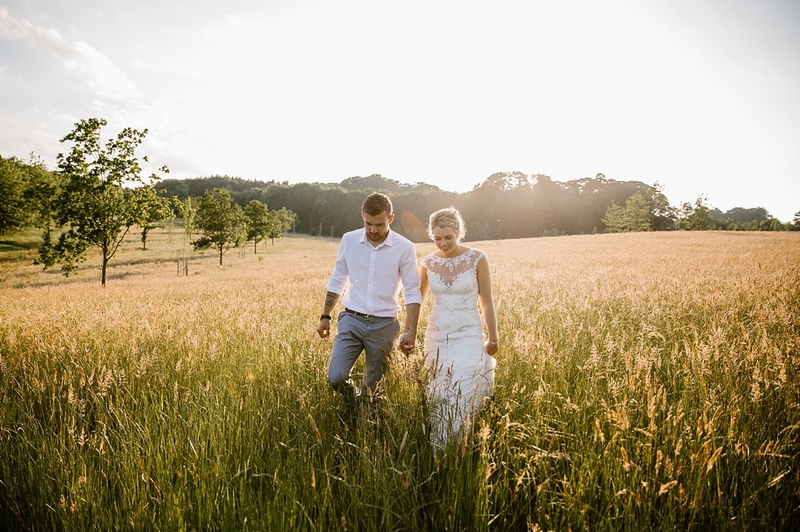 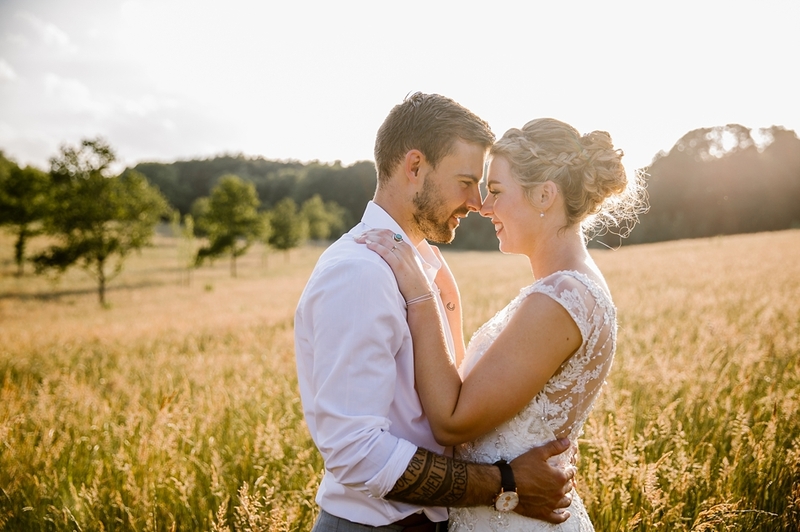 Just as the sun was setting we headed out for a few golden hour shots in the fields before they headed in for their very special first dance! 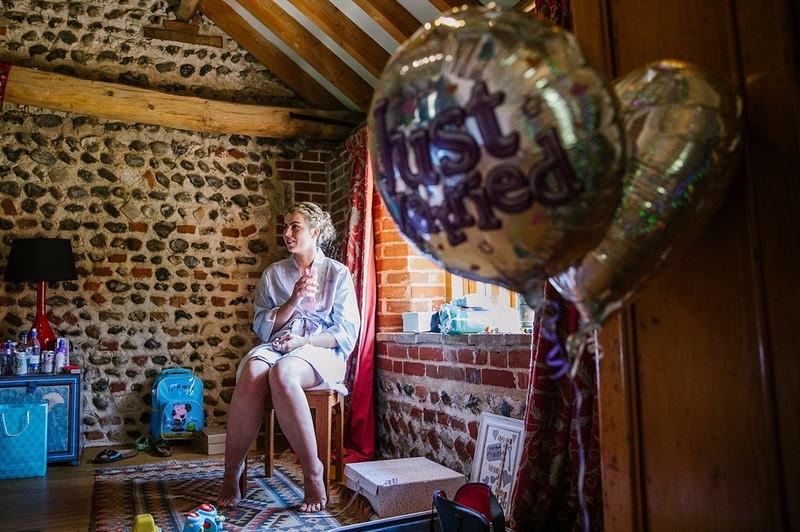 Huge thanks to all their friends and family, being a very hot day I was constantly being offered drinks and people making sure I had eaten which was so welcome at 4 months pregnant! 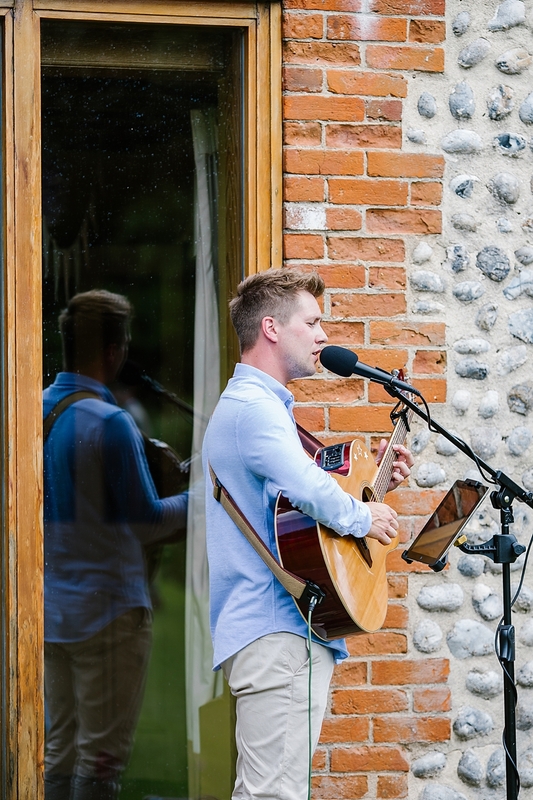 Thanks also to the fabulous Jenna from Chaucer who did a wonderful job of making the day run like clockwork and it was lovely to see the brilliant Bill Downs singing for the afternoon and providing the disco in the evening.